Parochial vicar St. Mary in Champaign, St. Patrick in Tolono, St. Joseph in Ivesdale 2019. 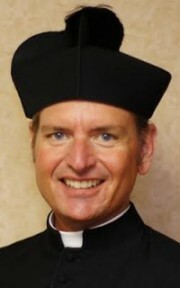 Parochial vicar St. Mark in Peoria 2019. Parochial vicar St. Hyacinth, St. Patrick, Queen of the Holy Rosary Shrine in LaSalle 2019. 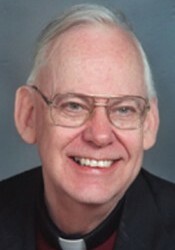 Father Stephen McKinley, OFM Conv. Asst. Holy Family in Peoria 1994. 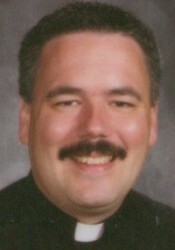 Pastor Holy Family in Peoria 1997-2005. Pastor St. Mary in Wenona, St. John the Baptist in Lostant, St. Patrick in Mononk, St. Ann Toluca 2014. In residence St. Mary Wenona 2018. 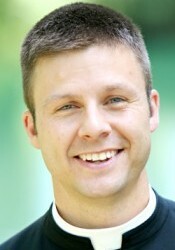 Father David Huebner, OFM Conv. Parochial Vicar St. Mary, Wenona 2017. 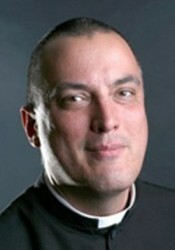 Father Giles Gilbert, OFM Conv. Parochial Vicar Holy Family in Peoria 2017. Parochial Vicar Sacred Heart in Moline 2017. Born 7/15/1967. Ordained 8/11/1996. Chaplain OSF HealthCare Sacred Heart Medical Center in Danville 2012. 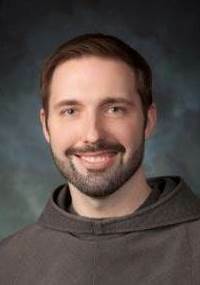 Superior of St. Joseph Novitiate for the Congregation of St. John in Princeville 2018. Born March 8, 1977. Ordained 7/24/10. 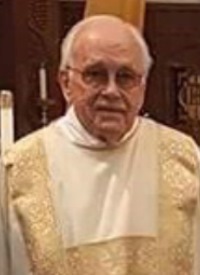 Parochial vicar Christ the King Moline 2016. Parochial vicar St. Thomas the Apostle, Peoria Heights 1/30/18. Parochial Vicar St. Columba, St. Patrick, and St. Francis, Ottawa 2018. 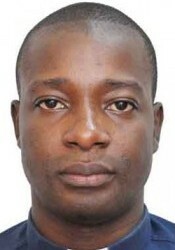 Born 1981 in Sokode, Togo. Ordained 2012. Parochial vicar St. Francis of Assisi and St. Patrick, Ottawa (2014); Parochial Vicar of St. Patrick, Seneca, St. Theresa, Earlville and St. Mary, Grand Ridge 2017. Born May 13, 1992, Ordained May 26, 2018. Parochial Vicar St. Michael the Archangel Parish, Streator and Sts. Peter and Paul Parish, Leanore (2018). Parochial vicar, St. Matthew, Champaign 2017. 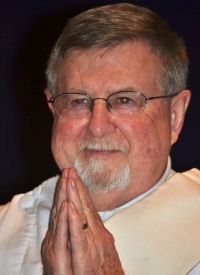 Father Patrick Greenough, OFM Conv. From assignment with the Conventual Franciscans, to pastor, St. Mary Parish, Wenona, St. John the Baptist Parish, Lostant, St. Patrick Parish, Minonk, and St. Ann Parish, Toluca (04/2017). Born on April 2, 1989. Ordained on May 28, 2016. Parochial Vicar at St. Patrick Church of Merna in Bloomington and St. Mary in Downs (2016). 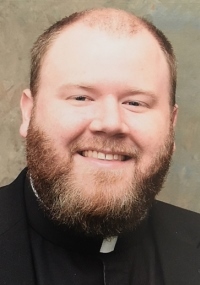 While remaining parochial vicar of St. Patrick Church of Merna, Bloomington, and St. Mary Parish, Downs, to parochial vicar, St. Patrick Parish, Wapella (04/2017); while remaining parochial vicar, St. Patrick of Merna, Bloomington and St. Mary, Downs to chaplain team, Central Catholic High School, Bloomington 2017. Born in Chicago 2/26/1964. Ordained 5/29/1993. Asst. Holy Cross, Champaign (1993) St. Thomas, Peoria Heights (1994) Asst. 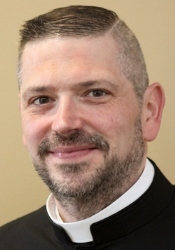 Chaplain St. John’s Newman ctr., Champaign (1997) Released to explore vocation to Carthusian Charterhouse, VT (1999) Sacred Heart, Moline (2000) Pastor St. Patrick, Tolono; St. Joseph Ivesdale (2001) Released discernment in religious life (2003) Parochial Vicar Sacred Heart Moline 2011; Administrator, St. Mary’s Parish, Moline and St. Mary’s Parish, East Moline 2012; Parochial vicar St. Mary Cathedral, Peoria and St. Bernard, Peoria and Sacred Heart, Peoria and St. Joe, Peoria (2015); Pastor St. Anthony, Hoopeston and chaplain team at Schlarman Academy, Danville 2017. In residence, Holy Family, Peoria, 2010. Born on October 17, 1964. Professed on July 16, 2010. Ordained on May 24, 2014. 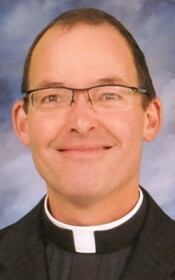 Parochial Vicar at Holy Family in Peoria (2014). 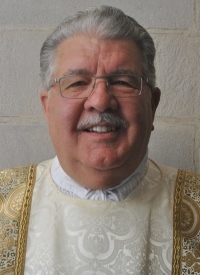 Pastor Holy Family in Peoria (2018). Ordained, May 24, 2008. Parochial Vicar – Holy Cross, Mendota and Sts. Peter & Paul, Peterstown (2008). 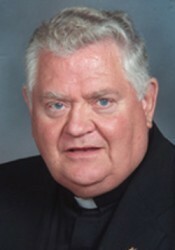 Administrator Holy Family, Oglesby (2012). 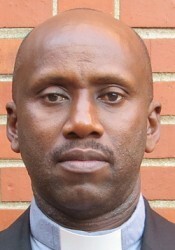 Pastor Holy Family, Oglesby, Sts. Peter and Paul, Leonore, Annunciation of the Blessed Virgin Mary, Eagle Township (2013); Pastor Holy Family, Oglesby 2017. Born in Chicago, April 9, 1931. Ordained August 2, 1959. Parochial Vicar, St. Columba, Ottawa, 1959; St. Malachy, Rantoul, 1964. Pastor, Sacred Heart, Farmer City, and St. John, Bellflower, 1971. Co-pastor, St. Patrick, Danville, 1974; Holy Family, Danville, 1978. Parochial Vicar, Holy Cross, Champaign, 1984, Pastor, St. Patrick, Tolono and St. Charles Borromeo, Homer, 1988. 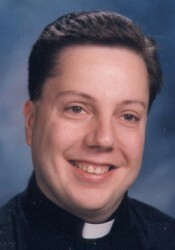 Senior priest status, 2001. Born in Brooklyn, NY, June 25, 1922. Ordained May 28, 1950. Parochial Vicar, St. Mary, Peoria, 1950. 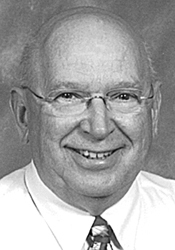 Chaplain, St. Francis Hospital, Kewanee, 1953; St. Mary Hospital, Galesburg, 1969. Senior priest status, 1974. Born in Peoria, October 19, 1912. Ordained June 5, 1938. Parochial Vicar, Holy trinity, Bloomington, 1938. Pastor, St. Mary, Ottawa, 1946; Sts. Peter & Paul, Chatsworth, 1950; St. Edward, Chillicothe, 1957. 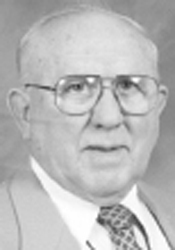 Co-pastor, St. Edward, Chillicothe, 1973. Pastor, Sacred Heart, Moline, 1976. Senior priest status, 1980. Born in Cissna Park, May 8, 1933. Ordained August 2, 1959. Parochial Vicar, St. Mary, Peoria, 1959. 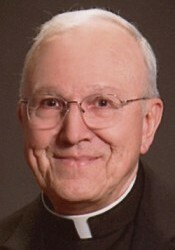 Director, Catholic Youth Center, Peoria 1966. Parochial Vicar, St. Patrick, Danville and faculty, Schlarman High School, Danville, 1967. Parochial Vicar, St. Patrick, Danville, 1970. Pastor, St. Maria Goretti, Coal Valley, 1972. Member of the Rock Island-Milan Cooperative Ministry, co-pator, St. Pius X, Rock Island, 1976. Coordinator, Ministry to Priests, 1978. Co-Director, Communications/Evangelization Office, 1981. 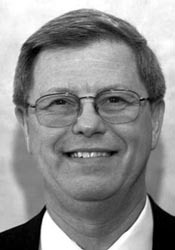 Executive Director, Diocesan Personnel Board, 1983. Pastor, St. Mark, Peoria, 1990. Available for assignment, 1998. 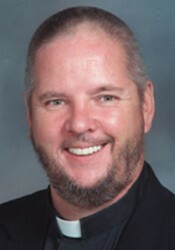 Senior priest status, 2003. 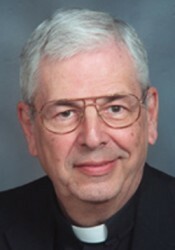 Monsignor Paul E. Showalter, P.A. Born in Rock Island, Oct. 7, 1940. Ordained May 22, 1966. Parochial Vicar, Immaculate Conception, Monmouth, 1966. 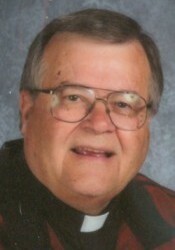 Chaplain, Central Catholic High School, Bloomington, 1973. In residence, Holy Trinity, Bloomington, 1973. St. Patrick, Wapella, 1975. Pastor, Sts. Peter & Paul, Nauvoo, and Sacred Heart, Dallas City, 1980; St. Mary, Rock Island, 1992; St. Pius, Rock Island, 1996. 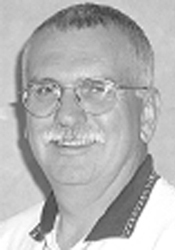 Vicar, Rock Island Vicariate, 1996. Knight of the Holy Sepulchre, 1997. 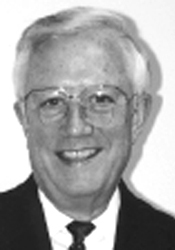 Prelate of Honor, 2000. 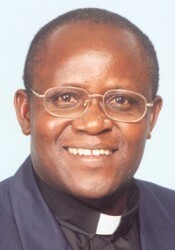 Vicar General of the Diocese, 2004. 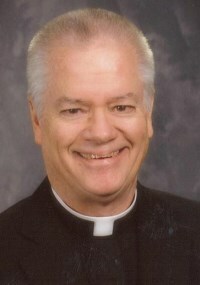 While remaining Vicar General of the Diocese of Peoria, to Administrator, St. Vincent de Paul Parish, Peoria, 2005. 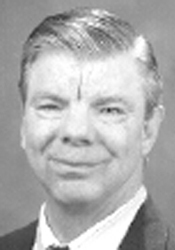 While remaining Vicar General to pastor, St. Bernard, Peoria, 2006. 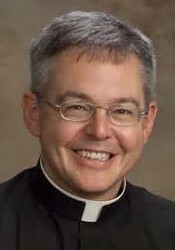 While remaining Vicar General and pastor, St. Bernard, Peoria, to pastor, St. Peter, Peoria and Rector, St. Mary Cathedral, Peoria, 2008. 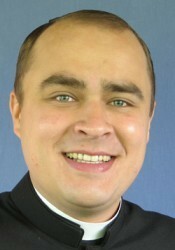 Vicar General 2011. Born in Peoria on December 24, 1986. Ordained on May 23, 2015. Parochial Vicar at St. Mary in Champaign and St. Patrick in Urbana (2015); Parochial Vicar at St. Mary in Bloomington (2016) and chaplain team, Central Catholic High School, Bloomington 2017. Born Davenport, IA, July 12, 1926. Ordained July 6, 1952. Parochial Vicar, St. Catherine, Aledo, 1952; St. Patrick, Dwight, 1956. Asst. 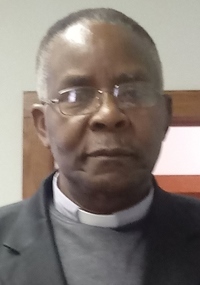 Diocesan Director, Confraternity of Christian Doctrine, 1958-1965. Administrator, St. Patrick, Dwight, 1959. Parochial Vicar, Visitation, Kewanee, 1960. Pastor, St. Patrick, Ransom, 1964; St. Patrick, Sheffield, 1968; St. Patrick, Bloomington, 1971; St. Catherine, Aledo, 1980; Our Lady of Guadalupe, Silvis, 1983. 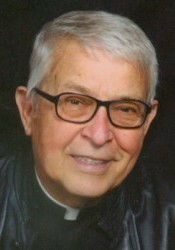 Senior priest status and pastor emeritus, 1996. Born August 4, 1980, in Maywood. Ordained May 26, 2007. 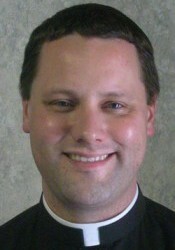 Parochial Vicar, St. Pius X, Rock Island, 2007. 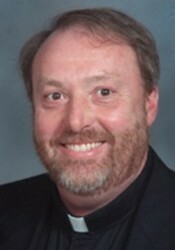 Administrator St. Patrick, Bloomington; Chaplain of John Paul II Newman Center, Normal; 2011 Parochial Vicar st. Mary, Pointiac, St. Joseph Mission, Flanagan and St. John, Cullom and St. Paul, Odell 2013. Pastor St. Patrick, Colona and Our Lady of Guadalupe, Silvis 2015. Born in Moline on December 12, 1979. Ordained on May 24, 2008. 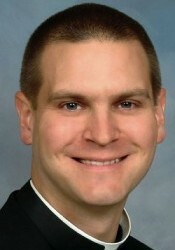 Parochial Vicar at St. Vincent de Paul in Peoria (2008). 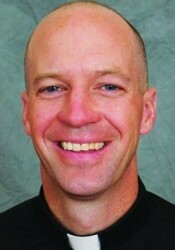 Parochial Vicar at St. Michael the Archangel in Streator and Chaplain at Marquette Academy (2011). Parochial Vicar at St. Matthew in Champaign and St. Boniface in Seymour (2013). 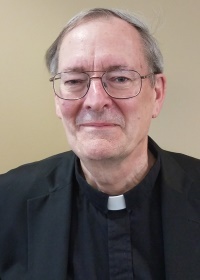 Parochial Vicar at St. Vincent dePaul in Peoria (2014). 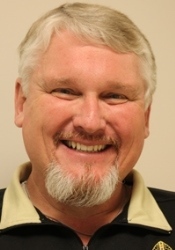 Administrator at St. Patrick in Wapella and Chaplain of Central High School in Bloomington (2016). 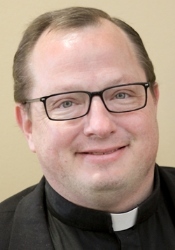 While remaining pastor of St. Patrick Parish, Wapella, and chaplain, Central Catholic High School, Bloomington, to pastor, St. Patrick Church of Merna, Bloomington, and St. Mary Parish, Downs; Pastor St. Patrick of Merna, Bloomington and St. Mary Downs 2017. 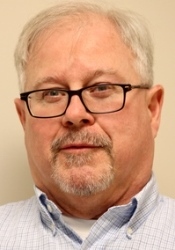 While remaining Parochial Vicar Holy Trinity, Bloomington and Historic St. Patrick, Bloomington and St. Patrick Wapella to Chaplain St. John Paul II Catholic Newman Center, Normal 2018. Pastor St. Thomas, Philo and St. Mary Pesotum (2015); Chaplain St. John Catholic Newman Center, Champaign 2017. Born in Daytona Beach, FL in 1955. 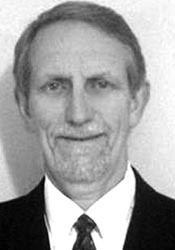 Ordained in 1991. Asst. Immaculate Conception, Streator (1991). St. Edward, Chillicothe (1993). St. Patrick, LaSalle (1994). St. Theresa, Alexis; St. Aloysius, Wataga (1996). Adm. St. Lawrence, Penfield; Holy Trinity, Rankin (1999). St. Lawrence, Penfield; St. Elizabeth, Thomasboro (2000). Work outside diocese (2006). 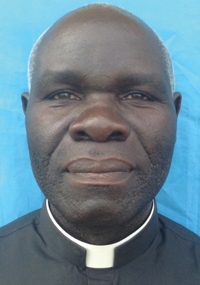 Pastor St. Patrick Tolono (2009). Adm. St. Rose, Rushville (2011). Parochial Vicar, St. Mary, Pontiac; St. Joseph, Flanagan; St. John Cullom (2012) and St. Paul, Odell (2013). Born in Florissant, MO on May 7, 1961. Ordained May 25, 1991. Parochial Vicar Sacred Heart, Moline 1991. 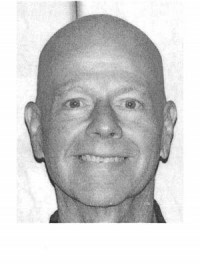 Assistant Chaplain, St. John Newman Center, Champaign 1993. 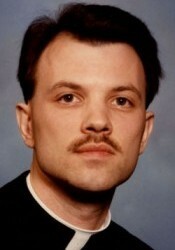 Assistant Chaplain, OSF St. Francis Medical Center 1996. 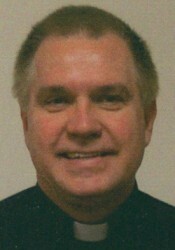 Chaplain, OSF St. Francis Medical Center 1998. Clinical Pastoral Education Residency 2001. 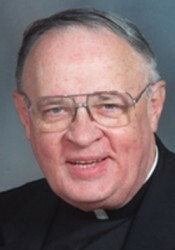 Vicar, Peoria SE Vicariate 2003. 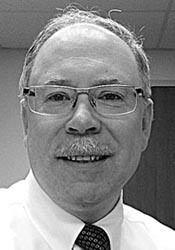 Chaplain to His Holiness 2007 while remaining Chaplain, OSF St. Francis Medical Center; Pastor, St. Edward, Chillicothe 2017. Leave of Absence (2004); Pastor St. John, Galva, St. John, Woodhull and St. John Vianney, Cambridge (2005). Born in Chicago on March 27, 1970. Ordained on May 25, 1996. 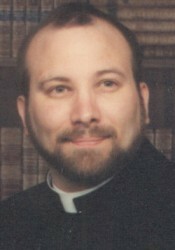 Parochial Vicar at St. Joseph in Pekin (1996). Pastor at St. Patrick in Camp Grove, St. Dominic in Wyoming, and Administrator at St. John in Toulon (1999). 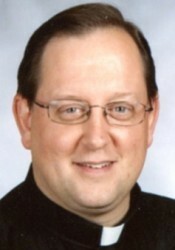 Parochial Vicar at St. Joseph in Pekin (2000). 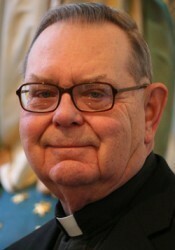 Pastor at Sacred Heart in Granville and St. Patrick in Hennepin (2002). 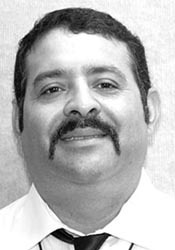 Pastor at Holy Cross in Mendota and Sts. Peter & Paul in Peterstown (2003). 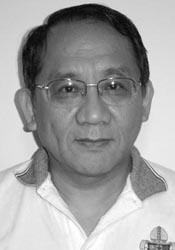 Vicar of LaSalle Vicariate (2003). 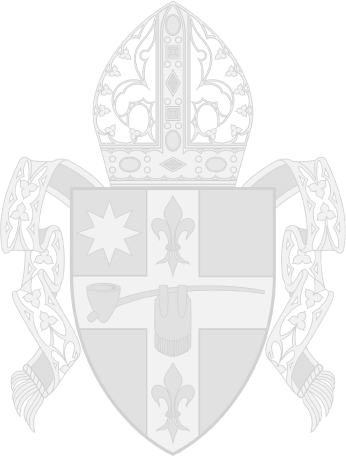 Assistant Vocation Director (2003). 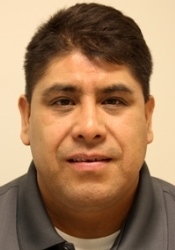 While remaining Pastor at Holy Cross in Mendota and Sts. Peter & Paul in Peterstown, to Pastor at St. Theresa in Earlville (2004). Canon Law studies (2008). 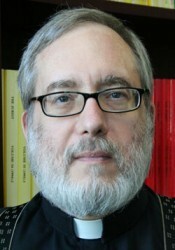 JCL (2010). 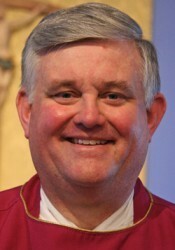 Pastor at St. Monica in East Peoria, Vice Chancellor and Adjutant Judicial Vicar for the Diocesan Tribunal (2010). 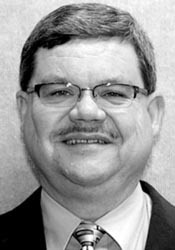 While remaining Pastor at St. Monica in East Peoria, and Adjutant Judicial Vicar to Vicar General (2011). Chaplain to His Holiness (2011). 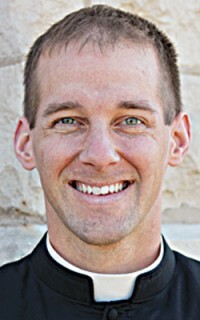 Vicar General, Judicial Vicar with residence at St. Monica in East Peoria (2012). 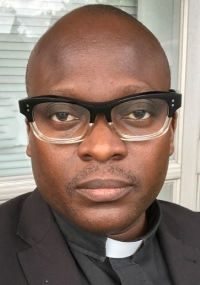 Vicar General and Adjutant Judicial Vicar (2015). Born on July 9, 1986. Ordained on May 26, 2012. 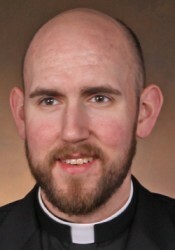 Parochial Vicar at Immaculate Conception in Monmouth, St. Theresa in Alexis, St. Patrick in Raritan, Chaplain at Holy Family Medical Center, and Chaplain at St. Augustine Newman Center at Monmouth College (2012). 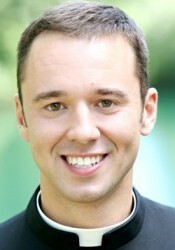 Diocesan Vocation Director of Recruitment (2015). 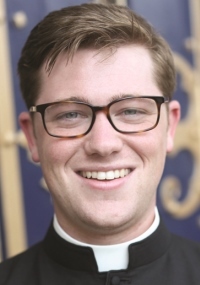 In residence at St. Mary in Bloomington while remaining Diocesan Vocation Director for Recruitment (2016). Ordained May 23, 2009. Parochial Vicar, St. Patrick and St. Hyacinth and Queen of the Holy Rosary Shrine, LaSalle, 2009. 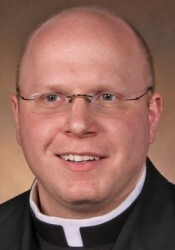 Parochial Vicar, St. Jude, Peoria; Chaplain, Peoria Notre Dame High School (2012); Chaplain at Peoria Notre Dame High School with residence at St. Philomena in Peoria (2015); Administrator at St. Paul, Macomb (January 2017). Pastor St. Paul, Macomb, St. Rose, Rushville, and chaplain, St. Francis of Assisi Catholic Newman Center, Macomb 2017. Ms. Patricia Gibson, J.D., J.C.L. 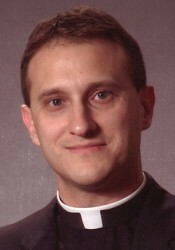 Monsignor Jason A. 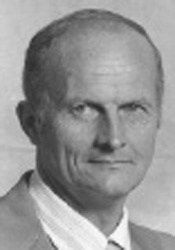 Gray, J.C.D. 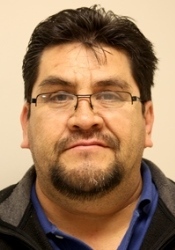 Born in Silvis on July 8, 1971. 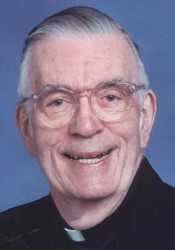 Parochial Vicar at St. Columba in Ottawa (1997). Studies at North American College in Rome (1997). 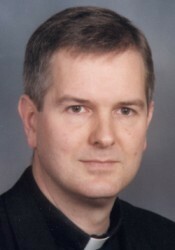 Parochial Vicar at St. Columba in Ottawa (1998). 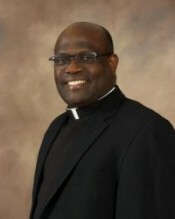 Pastor at St. Peter in Peoria, Vice-Chancellor, and Administrative Assistant to the Bishop (2001). Studies at Catholic University of America (2004). 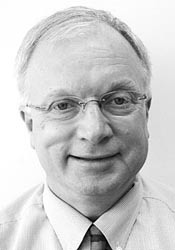 JCL (2006). 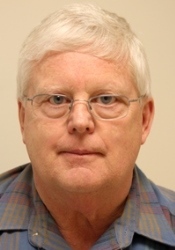 Administrator at St. Vincent de Paul in Peoria, Adjutant Judicial Vicar and Vice Chancellor (2006). 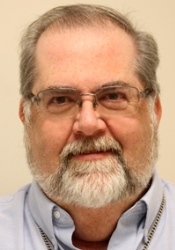 Remaining Administrator at St. Vincent de Paul in Peoria to Judicial Vicar of the Tribunal and Episcopal Vicar for Consecrated Life (2008) Pastor at St. Vincent de Paul in Peoria (2010). Released to the Congregation for the Causes of Saints in Rome (2012). 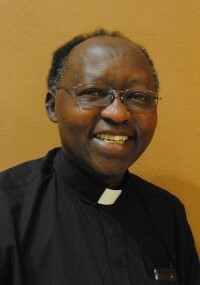 Judge for the Diocesan Tribunal (2012). 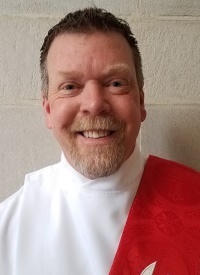 Pastor at St. Thomas the Apostle in Peoria Heights, Judge for the Diocesan Tribunal, and Episcopal Vicar for Consecrated Life (2015). Pastor Immaculate Conception, Lacon; St. John XXIII, Henry, chaplain daughters of St. Francis of Assisi, Lacon; St. Joseph Nursing Home, Lacon 2017. 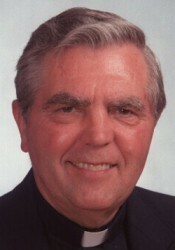 Monsignor Charles J. Beebe, P.A. Born in Passaic, NJ on June 23, 1944. Ordained on June 6, 1970. Parochial Vicar at St. Bernard in Peoria and St. Joseph in Pekin (1970). Faculty at Spalding Institute and Academy of Our Lady in Peoria (1974). Administrative Assistant at Spalding Institute/Academy of Our Lady in Peoria (1983). Administrative Assistant at Peoria Notre Dame in Peoria (1988). Pastor at Sacre Coeur and Principal at Sacre Coeur School in Creve Coeur (1991). 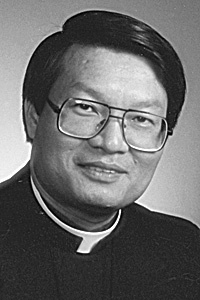 Vicar for Pekin Vicariate (1991). 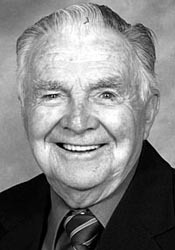 Pastor of St. Jude in Dunlap (1993). 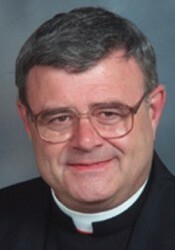 Episcopal Vicar for Permanent Diaconate (1993). 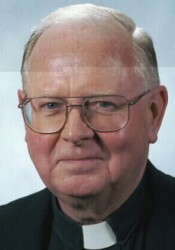 Prelate of Honor (1993). 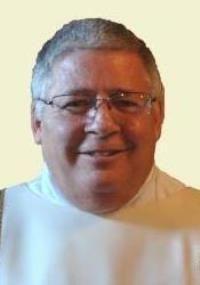 Pastor for St. Philomena in Peoria while remaining Episcopal Vicar for Permanent Diaconate (1999). 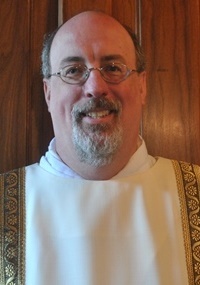 Pastor for St. Joseph in Roanoke and St. John in Benson while remaining Episcopal Vicar for Permanent Diaconate (2003). Protonotary Apostolic (2011). 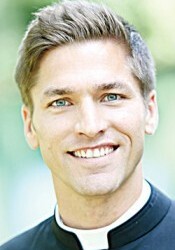 Remaining pastor at St. Joseph in Roanoke and St. John in Benson (2012). Born in Wenona, Nov. 6, 1956. Ordained May 23, 1992. Parochial Vicar, St. Patrick, Urbana, 1992; St. Joseph, Pekin, 1994. 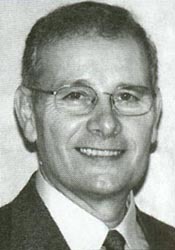 Diocesan Spiritual Director, Cursillo-TEC, 1996. 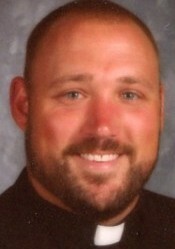 Pastor, St. Joseph, Pekin, 2000. 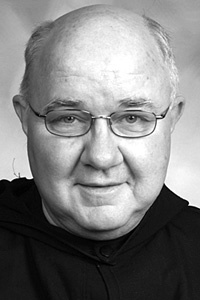 Vicar, Pekin Vicariate, 2003. Pastor, St. Joseph, Pekin, and Sacre Coeur, Creve Coeur, 2005; St. Joseph, Pekin, 2006. 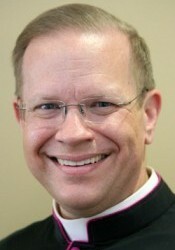 Pastor St. Mary, Delavan, St. Joseph Delavan, Episcopal Vicar for the Diaconate, 2012. 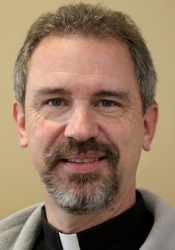 Remaining pastor of St. Jude, Peoria; Vocation Director of Formation 2015. 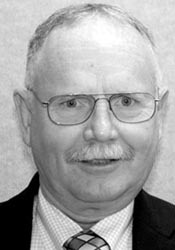 Born in Waterloo, IA on November 23, 1939. Ordained on May 22, 1966. Parochial Vicar at St. Joseph in Rock Island (1966). Parochial Vicar at Epiphany in Normal (1967). Parochial Vicar at St. Patrick in Lincoln (1971). Diocesan Vocation Team (1972). Diocesan Consultor (1974). 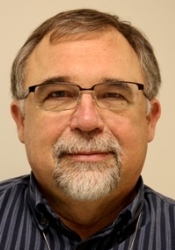 Member of RockIsland-Milan Cooperative Ministry, Co-Pastor at St. Ambrose in Milan and St. Patrick in Andalusia (1976). Pastor at St. Ambrose Milan and St. Patrick, Andalusia (1978). 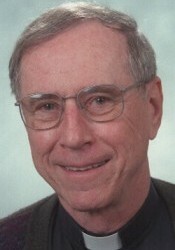 Diocesan Director of “Christ Renews His Parish” (1978). Pastor at St. Patrick in LaSalle (1990). 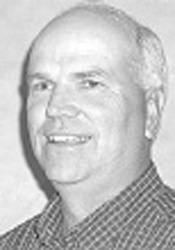 Pastor at Christ the King in Moline (1994). 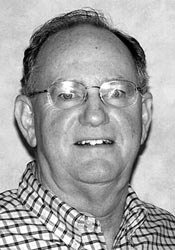 Pastor at St. Patrick in Andalusia (1998). 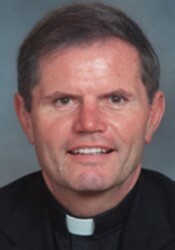 Maritime Chaplain with the Apostleship of the Sea, Senior Priest Status (2009). Born in Ambridge, PA, Aug. 7, 1928. Ordained June 6, 1954. Parochial Vicar, St. Hyacinth, LaSalle, 1954. Faculty, Alleman High School, Rock Island, 1956. Faculty, Schlarman High School, Danville, and Assistant, St. Patrick, Danville, 1957. Chaplain, St. Elizabeth Hospital, Danville, and faculty, St. Elizabeth School of Nursing, Danville, and faculty, Schlarman High School, 1960-66. Pastor, St. Joseph, Colfax, and St. Rose, Strawn, 1066; St. Malachy, Rantoul, 1972. 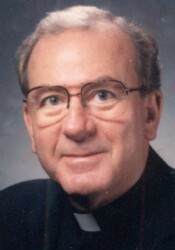 Senior priest status and pastor emeritus, 1997. In residence, St. Elizabeth, Thomasboro, 2001. 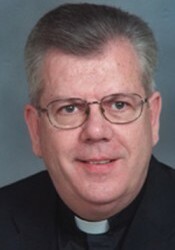 Elected Abbot June 7, 2011. 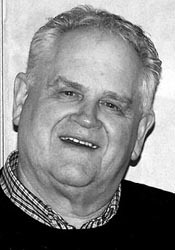 Born in Galesburg April 18, 1947. Ordained May 25, 1996. 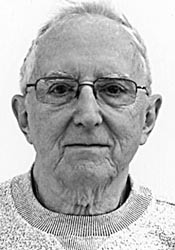 Paraochial Vicar, Holy Cross, Champaign, 1996. Pastor, St. Joseph, Colfax, and St. Rose, Strawn, 1998. Pastor, St. Theresa, Earlville, 2001; St. Anthony, Spring Valley, 2004. While remaining Pastor, St. Anthony, Spring Valley, to Administrator, St. Mary, Peru, 2005. 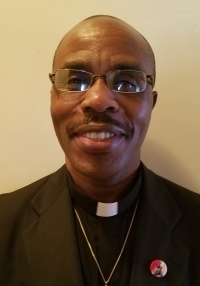 While remaining pastor, St. Anthony, Spring Valley to pastor, Immaculate Conception, Spring Valley, 2008; Pastor, St. Anthony, Spring Valley, Immaculate Conception, Spring Valley, Sts. Peter and Paul, Spring Valley, St. Gertrude, Seatonville 2009. 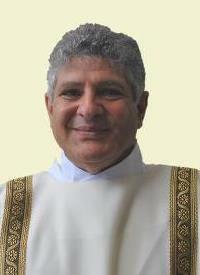 Founding pastor of the new parish of the Nativity of Our Lord, Spring Valley, 2013. Born in Wroughton, England on September 22, 1952. Ordained on May 28, 1983. 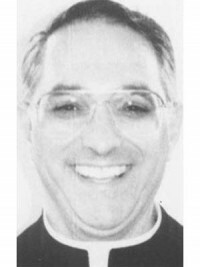 Parochial Vicar of Holy Cross in Mendota (1983). 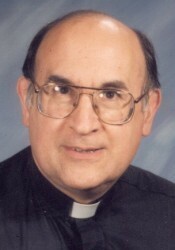 Parochial Vicar of Epiphany in Normal (1986). Chaplain of the United States Air Force (1988). 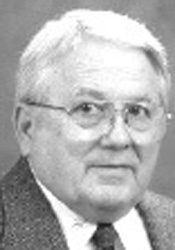 Pastor of St. John in Woodhull and St. John in Galva (1992). Parochial Vicar at Holy Family in Lincoln (1993). 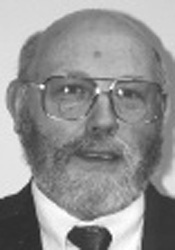 Pastor of St. John in Bradford (1996.). Leave of absence (1997). 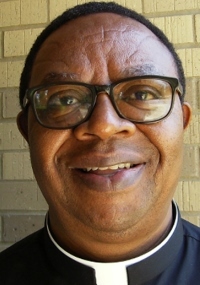 Parochial Vicar of Holy Family in Lincoln, St. Mary in Atlanta, and chaplain of the Lincoln Correctional Center (1998). 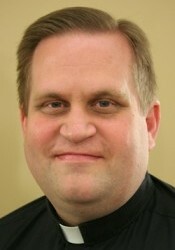 Parochial Vicar at St. Thomas the Apostle in Peoria Heights (2004). 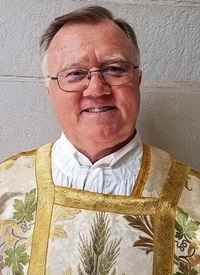 Parochial Vicar at St. Vincent De Paul in Peoria (2016). Born in Quebec, Canada, Sept. 11, 1963. Ordained May 26, 1990. Parochial Vicar, Holy Trinity, Bloomington, 1990; Epiphany, Normal, 1991. Pastor, Sacred Heart, Granville; St. Francis Xavier, Bureau, and St. Mary, Tiskilwa, 1993. 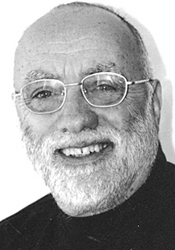 Vicar, Henry Vicariate, 1996. Pastor, St. Mary, Ottawa, 1998; St. Patrick, Bloomington, 2003; St. Patrick, Bloomington and St. Mary Mission, Atlanta, 2004. 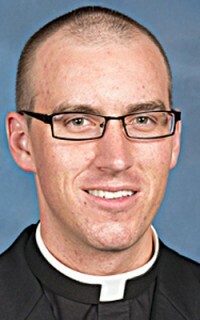 Leave of Absence, 2007; Parochial Vicar, St. Monica Church, East Peoria (2010) Full time teacher Peoria Notre Dame HS; In residence and assisting with weekend Mass at St. Philomena, Peoria; 2011 Administrator St. Anthony, Hoopeston; Chaplain, Schlarman Academy, Danville (2012). 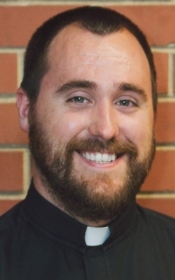 While remaining chaplain of Schlarman Academy to pastor of St. Anthony, Hoopeston (2014); Pastor St. Augustine, St. Augustine, St. Bernard, Bushnell 2017. 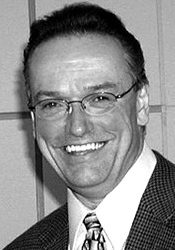 Born in Moline, Oct. 10, 1963. Ordained May 23, 1992. 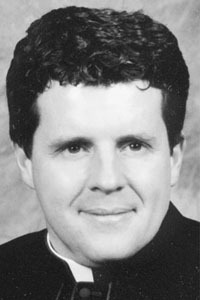 Parochial Vicar, St. Mary, Moline, 1992. Studies in Rome, 1993. Tibunal adjutant judicial vicar and judge, 1995, and chaplain, St. Joseph’s Home, Peoria, 1996. Judicial vicar, 1996. 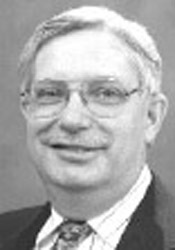 While remaining judicial vicar, Tribunal, to pastor, St. Mary, Princeville and adm., St. Joseph, Brimfield, and St. James, Williamsfield, 1998. Chaplain of Honor to His Holiness, 2000. 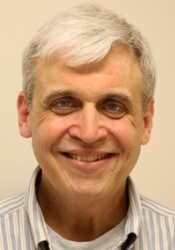 While remaining pastor at St. Mary of the Woods Parish, Princeville, and Diocesan mission director, to Episcopal delegate for the Sheen Cause for Sainthood, 2004, and judicial vicar, 2007. Released for services to the Congregation for the Clergy, Vatican City, 2008. Born in Marseilles, IL on May 9, 1971. Ordained on July 12, 1997. Parochial Vicar at Immaculate Conception in Monmouth (1997). Studies at North American College in Rome (1997). 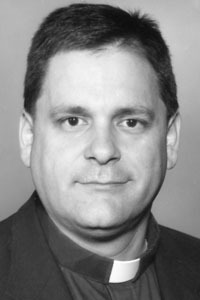 Assistant Pastor at Holy Cross in Champaign (1998). 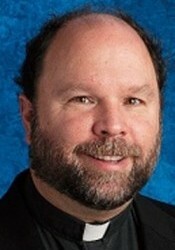 Chaplain at The High School of Saint Thomas More in Champaign and consultant for Family Life Programs of the Diocese (2000). 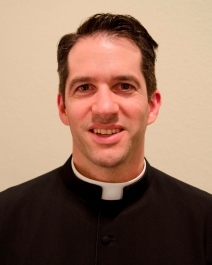 While remaining Chaplain at The High School of Saint Thomas More, to Administrator at Sacred Heart in Farmer City and St. John in Bellflower (2000). 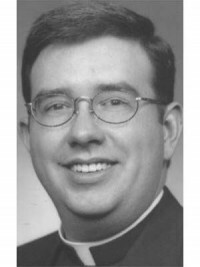 Whilte remaining Chaplain at The High School of Saint Thomas More, to part-time Parochial Vicar at Holy Cross in Champaign (2001). Leave of absence to discern religious life (2003). 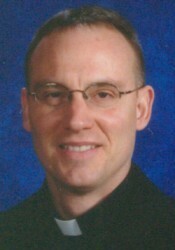 Chaplain at St. Robert Bellarmine Newman Center in Normal (2005). Working outside of the Diocese (2009). 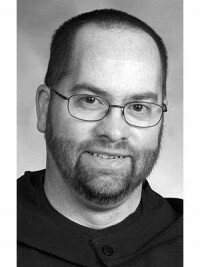 Pastor at St. Hyacinth, St. Patrick, and Rector of Queeen of the Holy Rosary Shrine all in LaSalle (2012); Pastor St. Anne, East Moline, St. Mary, Moline 2017. 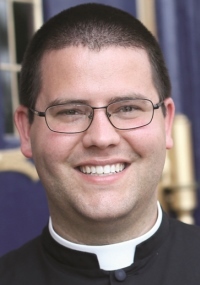 Born July 26, 1973, in Jacksonville Ordained May 27, 2000 Parochial Vicar, St. Matthew’s, Champaign, 2000; St Thomas Peoria Heights, 2002; Administrator, St. Patrick Parish, Havana, Immaculate Conception Parish, Manito, 2004; Pastor, St. Patrick, Havana, Immaculate Conception, Manito, 2006; Pastor, St. Malachy, Rantoul; Pastor St. Elizabeth, Thomasboro, 2007; Pastor St. Patrick, Andalusia 2009. 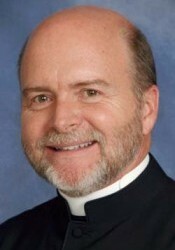 Pastor St. Anthony, Atkinson, 2013. 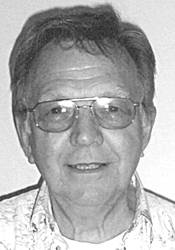 Born in Peoria on December 17, 1944. Professed on Dec. 8, 1974. 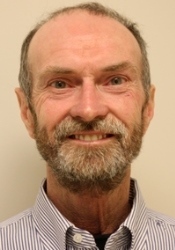 Ordained on June 3, 1989.
parochial vicar Holy Trinity and St. Parick’s, Bloomington (2013); Parochial vicar St. Columba, St. Patrick, and St. Francis of Assisi parishes in Ottawa 2017. 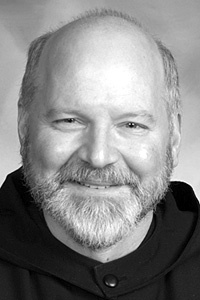 Parochial Vicar St. Michael the Archangel, Streator; St. Patrick, Seneca; Chaplain of Marquette Academy, Ottawa (2013). 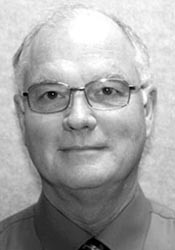 From Parochial Vicar, St. Michael the Archangel Parish, Streator; St. Patrick Parish, Seneca; and chaplian, Marquette Academy, Ottawa, to administrator, St. Joseph Parish, Peru (01/09/2017). 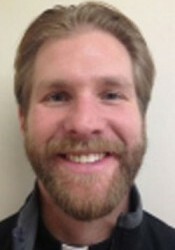 While remaining Administrator of St. Joseph, Peru, to Administrator of St. Valentine, Peru and St. Mary, Peru (8/4/17). 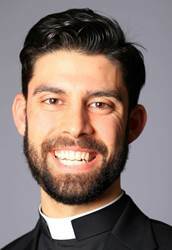 Administrator of St. Joseph, Peru (10/26/17); Pastor St. Joseph, Peru (2018) Leave of absence 2018. 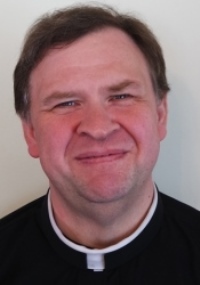 Parochial Vicar Corpus Christi, Immaculate Conception and St. Patrick in Galesburg and Sacred Heart in Abingdon. Born in Princeton, Illinois on December 30, 1986. Ordained on May 25, 2013. 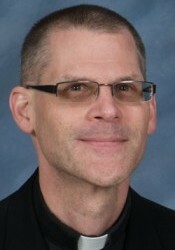 Parochial Vicar at St. Joseph in Pekin and Sacre Coeur in Creve Coeur (2013). 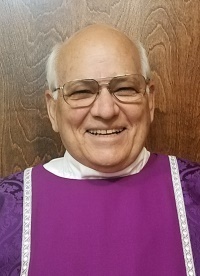 Parochial Vicar at St. Joseph in Pekin (2014). 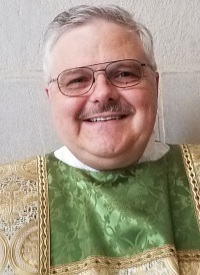 Parochial Vicar at St. Pius X in Rock Island (2016). born in Kitui, Kenya, Africa in 1969. 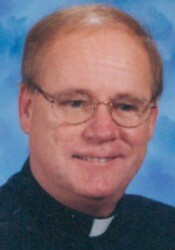 Ordained in 1996. 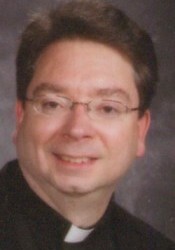 Parochial vicar, St. Mark, Peoria (2011). Born in Bloomington on February 6, 1985. Ordained May 25, 2013. 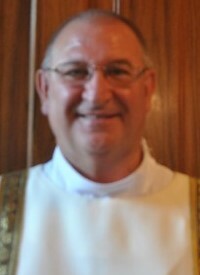 Parochial Vicar at St. Pius X, Rock Island (2013). Chaplain Team at Alleman High School, Rock Island while remaining Parochial Vicar at St. Pius X, Rock Island (2014). 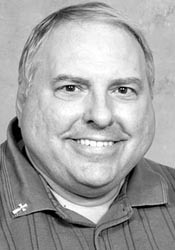 Chaplain at Alleman High School and chaplain at Augustana College; in residence at St. Mary, Rock Island (2016). Born in Peoria in 1987. Ordained 5/25/2013. 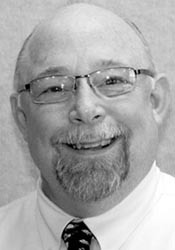 Parochial vicar Holy Cross, Mendota and St. Theresa, Earlville and Sts. Peter and Paul, Peterstown (2013). 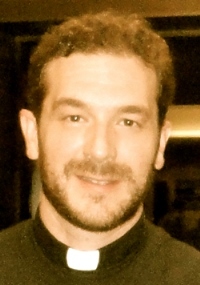 Deacon Alfred W. Angelo, Jr.
Born in St. Joseph, Missouri on November 24, 1980. Ordained on May 29, 2010. 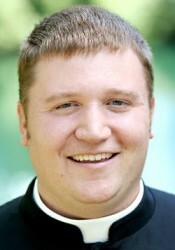 Parochial Vicar at St. Joseph Church in Pekin (2010). 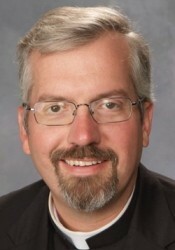 Parochial Vicar at Sacre Coeur, Creve Coeur while remaining Parochial Vicar at St. Joseph in Pekin (2012). 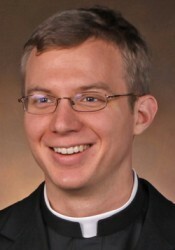 Assistant Chaplain at St. John Catholic Newman Center at University of Illinois in Champaign (2013). 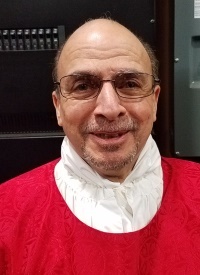 Parochial Vicar at the Cathedral of St. Mary, St. Bernard, and Sacred Heart in Peoria (2016). Ms. Adela Maria Kim, J.C.L. Born in Lamont in 1985. 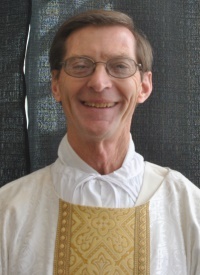 Ordained May 24, 2014 Parochial vicar St. Columba, Ottawa; St. Mary, Grand Ridge (2014); Parochial vicar St. Columba, St. Francis of Assisi, St. Patrick parishes in Ottawa and chaplain of Marquette Academy 2017. 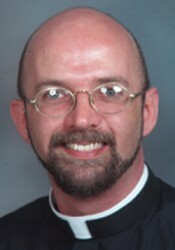 Born in East Chicgo, Ind., Oct. 15, 1964 Ordained May 25, 1991 Parochial Vicar, St. Thomas, Peoria Heights, 1991. Pastor, St. Mary’s, Utica, and chaplain, Marquette High School, Ottawa, 1992. 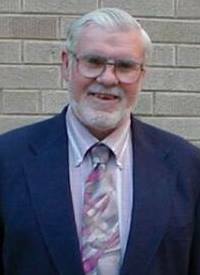 Pastor, St. Patrick’s, Ottawa, 1998. 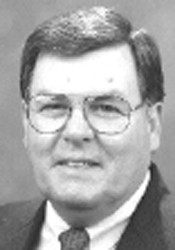 While remaining Pastor, St. Patrick’s, Ottawa, to Administrator, St. Mary’s (Naplate), Ottawa, 2003. 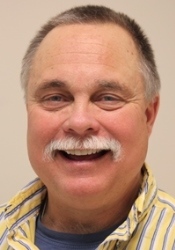 Pastor St. Michael the Archangel, Streator; Part-time teacher at Marquette High School (2011); Pastor St. Michael the Archangel, Streator and St. Patrick, Seneca, 2012; Pastor St. Michael the Archangel, Streator and Sts. Peter and Paul, Leonore 2017. 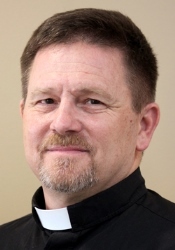 Born in Peoria, Aug.7, 1966 Ordained May 23, 1992 Parochial Vicar, Holy Trinity, Bloomington, 1992, and chaplain, Catholic Boy & Girl Scouts, 1993. 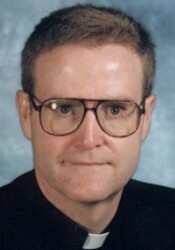 Parochial Vicar, St. Columba, Ottawa, 1994. 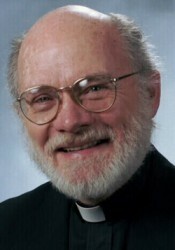 Pastor, St. Patrick’s, Bloomington, 1996; St. Joseph’s, Marseilles, 1999. While remaining pastor at St. Joseph’s, to pastor, St. Patrick’s, Ransom, 2000. 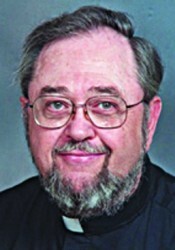 Parochial Vicar, St. Vincent de Paul, Peoria, 2001. 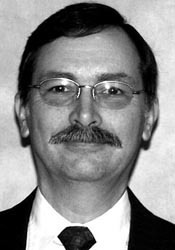 Pastor, St. Edward’s, Chillicothe, 2003. Born in Cleveland, OH, on Feb. 26, 1927. Professed Aug. 16, 1967. 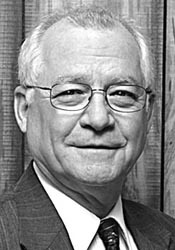 Born in Peoria on August 9, 1943. Ordained June 6, 1970. Parochial Vicar at the Cathedral of St. Mary, Peoria (1970). Parochial Vicar at St. Philomena, Peoria (1973). Faculty at Academy of Our Lady/Spalding, Peoria (1974). Chaplain at Schlarman High School, Danville and part-time Assistant Pastor at St. Paul, Danville (1980). Parochial Vicar at St. Matthew, Champaign (1983). Pastoral Team Ministry at St. Vincent, Peoria (1985). Pastor at St. Paul, Danville (1988). 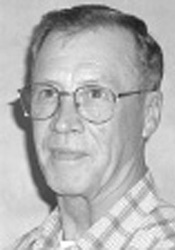 Pastor at St. Theresa, Earlville (1991). Pastor at St. Anthony and St. Casimir, Streator (1992). 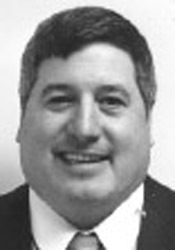 Pastor at St. Mary, Delavan and St. Joseph, Hopedale (1993). Pastor at St. Anthony and Sts. Peter and Paul, Spring Valley (1995). 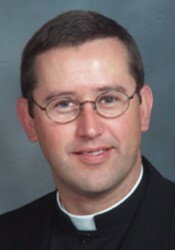 Parochial Vicar at Holy Cross, Champaign (2000). 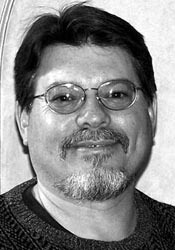 Pastor at St. Mary, El Paso and St. Patrick, Minonk (2001). 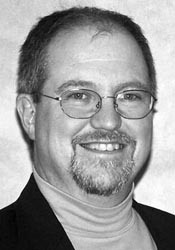 Parochial Vicar at St Matthew, Champaign (2002). Faculty at Peoria Notre Dame High School with residence at St. Jude, Peoria (2003). 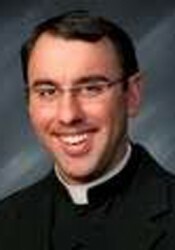 Parochial Vicar at Holy Cross, Champaign (2003). Administrator at St. Mark, Peoria (2005). Pastor at St. Philomena, Peoria (2006). 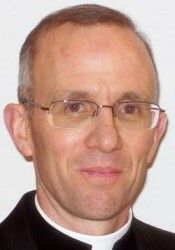 Parochial Vicar at St. Philomena (2008). 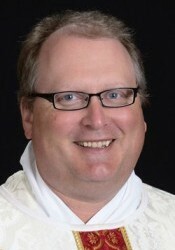 Parochial Vicar at St Vincent de Paul, Peoria (2011). 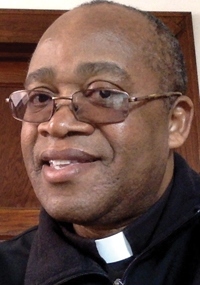 Pastor at St. Mary of the Woods, Princeville (2013). 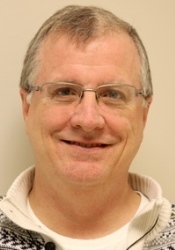 Parochial Vicar at St. Mary Cathedral, Peoria, Sacred Heart, Peoria, St. Bernard, Peoria and St. Joseph, Peoria (2015). Senior Priest Status in 2016. 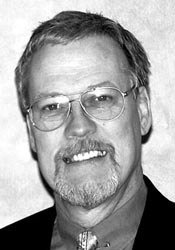 Born in Ladd, Feb. 11, 1950. Ordained June 16, 1978. 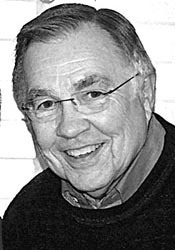 Born in LaSalle, March 16, 1944. Ordained Sept. 9, 1973. Parochial Vicar, St. Pius, Rock Island, 1973; St. Monica, East Peoria, 1978. Diocesan Marriage Tribunal, 1978, and part-time chaplain, St. Francis Medical Center, Peoria, 1988. Dio. Marriage Tribunal, 1991-95. Pastor, St. Malachy, Geneseo, 1995. Born in Silver Spring, Maryland on August 13, 1965. Ordained on May 27, 2000. 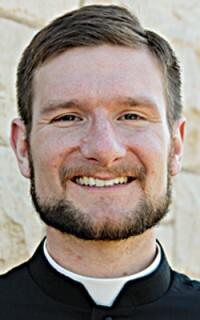 Parochial Vicar at Holy Cross in Mendota and Sts. Peter & Paul in Peterstown (2000). 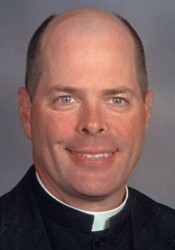 Chaplain of Marquette High School in Ottawa (2003). 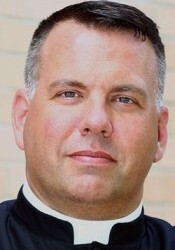 Parochial Vicar of St. Mary in Ottawa while remaining chaplain at Marquette High School (2003). 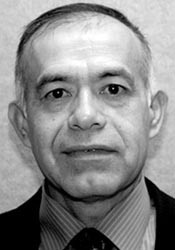 Hispanic Ministry in Streator while remaining chaplain of Marquette High School with residence at St. Stephen in Streator (2004). 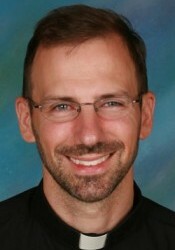 Pastor of St. Patrick in Wapella and chaplain of Central Catholic High School in Bloomington (2010). 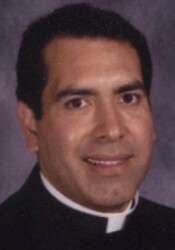 Pastor of Holy Cross in Mendota, Sts. Peter & Paul in Peterstown, and St. Theresa in Earlville (2016); Pastor Holy Cross, Mendota and Sts. Peter and Paul, Peterstown 2017. Born in Spring Valley, Feb. 22, 1937. Ordained June 3, 1962. Paraochial Vicar, Holy Cross, Champaign, 1962. 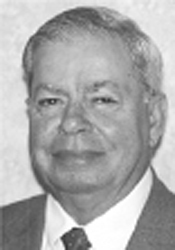 Diocesan Consultor, 1974. Pastor, St. Paul, Macomb, 1977. 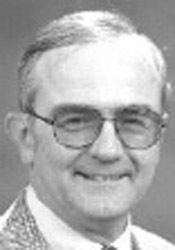 Vicar, Macomb Vicariate, 1991. Chaplain to His Holiness, 2003. 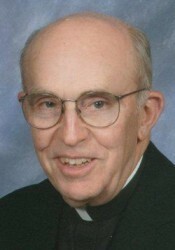 While remaining pastor, St. Paul’s, Macomb, to adm., St. Rose’s, Rushville, 2006. 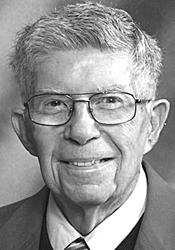 Born in Mendota, April 9, 1928. Ordained June 6, 1954. Parochial Vicar, Visitation, Kewanee, 1954; Sacre Coeur, Creve Coeur, 1954; St. Mark, Peoria, 1959. 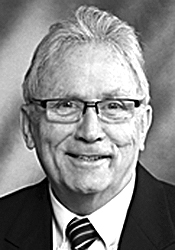 Pastor, St. John, Walnut, 1967; St. Theresa, Earlville, 1971; Holy Rosary, LaSalle, 1987. Advocate, Marriage Tribunal, 1968-1978. 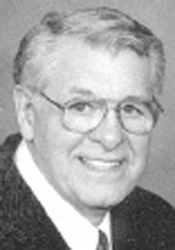 Associate Judge, Marriage Tribunal, 1978-1998. 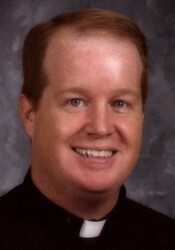 Senior priest status, 2003. Born in Peoria, Jan. 30, 1961. Ordained May 28, 1988. 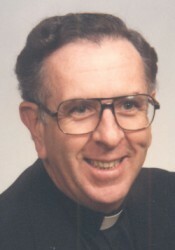 Parochial Vicar, Sacred Heart, Moline, 1988; St. Columba’s, Ottawa, 1990. Pastor, St. Joseph’s, Colfax, and St. Rose, Strawn, 1992, and chaplain, Central Catholic High School, Bloomington, 1993. 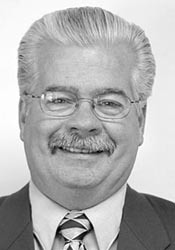 Pastor, St. Malachy’s, Rantoul, 1997. 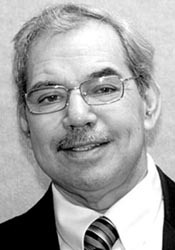 While remaining Pastor at Rantoul, Pastor of St. Elizabeth’s, Thomasboro, 2001; Pastor, Holy Family, Lincoln and St. Mary, Atlanta, 2005. 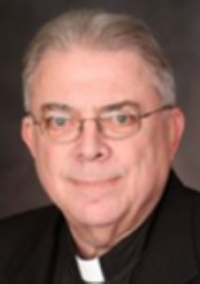 Born in Kankakee, July 28, 1953 Ordained May 26, 1979 Parochial Vicar, St. Philomena’s, Peoria, 1979; St. Columba’s, Ottawa, 1983; St. Vincent’s, Peoria, 1988. Pastor, St. Mary’s, East Moline, 1989; Christ the King, Moline, 1998. 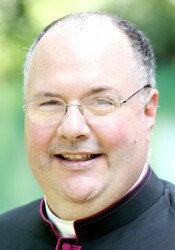 Born July 18, 1961 Ordained May 28, 1988 Asst., Holy Cross, Mendota, 1988; Holy Trinity, Bloomington, 1991. Pastor, St. Theresa, Alexis, and St. Aloysius, Wataga, 1992; St. John’s, Woodhull, and St. John’s, Galva, 1996; St. Anthony’s, Spring Valley, 2000. 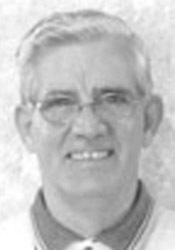 Pastor, St. Jude’s, (Dunlap) Peoria, 2003; Pastor, St. Patrick, Havana; Immaculate Conception, Manito, 2007; Pastor, St. Philomena, Monticello; St. Michael Bement, 2008. 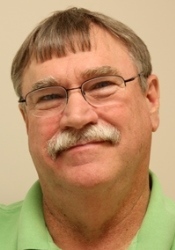 Born on March 14, 1952 in Waynesville, MO. Ordained on May 27, 1978. Parochial Vicar at St. Malachy in Geneseo (1978). Parochial Vicar at Sacred Heart in Moline (1980). Administrator at St. Mary in Keithsburg, St. Therese in New Boston, and St. Andrew in Oquawka (1981). 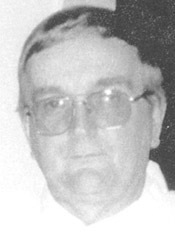 Parochial Vicar at Resurrection in LaSalle (1982). Pastor at St. Patrick in Ransom and St. Mary in Grand Ridge (1988). Pastor at Immaculate Conception in Monmouth, St. Andrew in Oquawka, and St. Patrick in Raritan (1991). Pastor at Holy Family in Lincoln, St. Mary in Atlanta, and St. Columba in Mason City (1997). 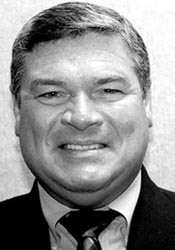 Administrator at St. Mary in Pontiac (1998). 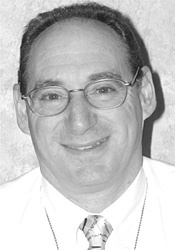 Pastor at St. John in Cullom and St. Joseph in Flanagan (2001). Chaplain to His Holiness (2003). 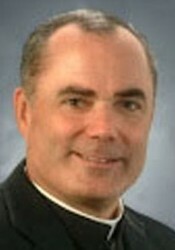 Pastor at St. Mary in Pontiac and St. Joseph in Flanagan (2005). 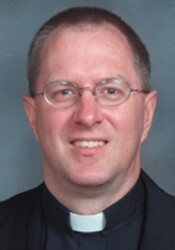 While remaining Pastor at St. Mary in Pontiac and St. Joseph in Flanagan to Pastor at St. John in Cullom (2006). Pastor at Immaculate Conception in Monmouth, St. Theresa in Alexis, St. Patrick in Raritan, and Chaplain at St. Augustine Newman Center at Monmouth College (2012). 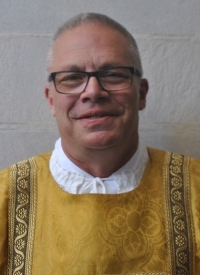 While remaining pastor at Immaculate Conception in Monmouth, St. Theresa in Alexis, St. Patrick in Raritan, and Chaplain at St. Augustine Newman Center at Monmouth College to Episcopal Vicar for Rural Life (2015). 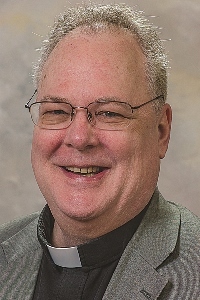 Vicar of the Galesburg Vicariate (2018). Born Aug. 16, 1928. Ordained June 29, 1957. Principal, St. Joseph Grade & High School , Nghia-Hoa, Saigon, South Vietnam, 1973. Graduate Studies, Boston College, Boston, Mass., 1976. Adm., St. Augustine, St. Augustine, and St. Patrick, Raritan, 1977. Pastor, St. Augustine, St. Augustine, and St. Patrick, Raritan, 1982; Sacred Heart, Farmer City, and St. John, Bellflower, 1984; St. Joseph and St. Mary, Pesotum, 1993. 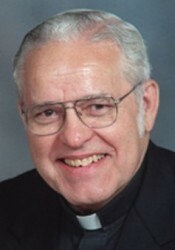 Senior priest status and pastor emeritus, 2004. Born in Peoria, IL on September 29, 1962. Ordained on May 28, 1988. Parochial Vicar at Holy Trinity in Bloomington (1988). 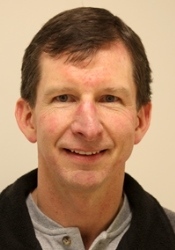 Pastor at St. Mary in Delavan and St. Joseph in Hopedale, and Associate Director of Vocations (1992). Director of Vocations, Pastor at St. Peter in Peoria, and Rector at the Cathedral of St. Mary (1993). Remaining Director of Vocations and Rector at the Cathedral of St. Mary (1995). 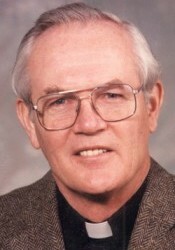 Pastor at St. Columba in Ottawa (1997). 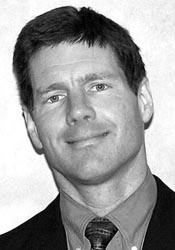 While remaining Pastor at St. Columba in Ottawa, to Pastor at St. Mary Grand Ridge (2000). Pastor St. Columba, St. Francis of Assisi and St. Patrick parishes in Ottawa 2017. 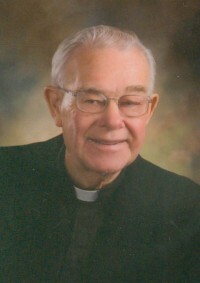 Deacon Robert W. Myers Sr. Parochial Vicar, St. Patrick’s, Merna, Bloomington, 1991; Epiphany, Normal, 1993. Pastor, St. Ann’s, Toluca, and Sacred Heart, Rutland, 1993; Senior Priest Status 2009. Born in Peoria, July 23, 1934. Ordained May 29, 1960. Parochial Vicar, Holy Trinity, Bloomington, 1960. In residence, Sacre Coeur, Creve Coeur, 1969. 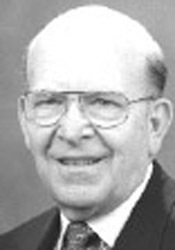 Director, Office of Christian Worship, 1969-1976. Parochial Vicar, St. Mark, Peoria, 1971. Master of Ceremonies to the Bishop, 1972-76. Pastor, Visitation and St. Joseph, Kewanee, 1976; St. Mary, Kewanee, 1982; St. Patrick, Urbana, 1986. 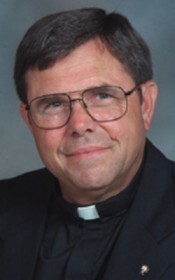 Senior priest status and pator emeritus, 2004. 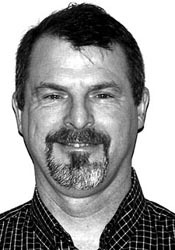 Born in Mattoon on Jan. 9, 1958.
service in the United States Navy (1998). 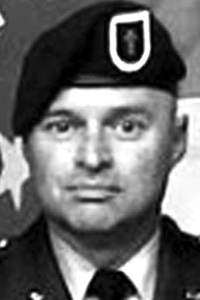 Chaplain for United States (2003). 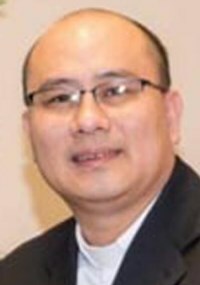 Born Nov. 3, 1969, in Toluca, Mexico Ordained Aug. 3, 2002 Parochial Vicar, St. Mary, Metamora; St. Elizabeth, Washburn; St. John, Benson, and St. Joseph, Roanoke, 2002. Parochial Vicar, St. Mary and St. Francis of Assisi, Kewanee, 2003. 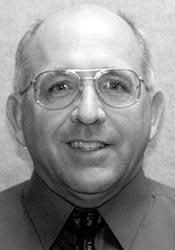 Holy Cross, Mendota, 2005; Administrator, Holy Cross, Mendota, Sts. Peter & Paul, Peterstown, 2008; Pastor, Holy Cross Mendota, Sts. Peter and Paul, Peterstown 2009 added pastor St. Teresa of Avila, Earlville 2013. 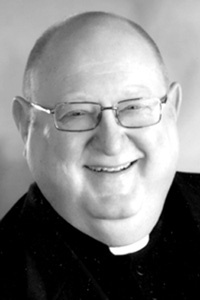 Pastor St. Mary, Moline; St. Mary and St. Anne, East Moline; Our Lady of Guadalupe, Silvis (2014) Pastor St. Mary, Moline and St. Mary, East Moline and St. Anne East Moline (2015); Pastor St. Mary, Champaign, St. Joseph, Ivesdale, St. Patrick Tolono 2017. 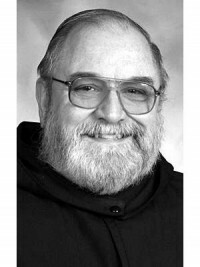 Born Nov. 24, 1949, in Brooklyn, N.Y. Ordained May 26, 2001. 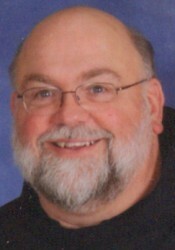 Parochial Vicar, St. Columba, Ottawa, 2001; St. Patrick, Elkhart and St. Thomas Aquinas, Mount Pulaski, 2003. 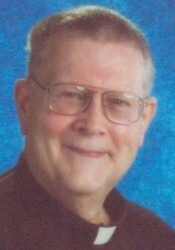 Administrator, St. Patrick Parish, Elkhart and St. Thomas Aquinas Parish, Mt. Pulaski, and chaplain, Logan Correctional Center and Lincoln Correctional Center, 2004. 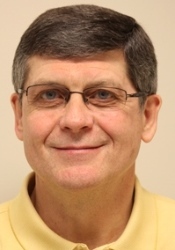 Pastor, St. Patrick Parish, Elkhart and St. Thomas Aquinas Parish, Mt. Pulaski, and chaplain, Logan Correctional Center and Lincoln Correctional Center, 2007. Born in Boston, Mass., Dec. 16, 1962. Ordained May 27, 1995. Parochial Vicar, St. Vincent de Paul, Peoria, 1995. Pastor, Imm. Conception, Lacon, 1998. While remaining at Lacon, to pastor, St. Mary, Henry, and adm., St. Joseph, Henry, 2000. 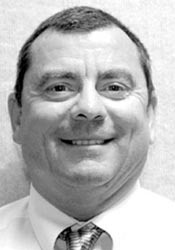 Vicar, Henry Vicariate, 2001. While remaining Pastor Immaculate Conception, Lacon and St. Mary’s, Henry, and adm. at St. Joseph’s, Henry to Executive Director, King’s House of Retreats, Henry, 2002. Pastor, St. Mary, Metamora and St. Elizabeth Mission, Washburn, 2003; St. Joseph, Brimfield and St. James, Williamsfield, 2008. 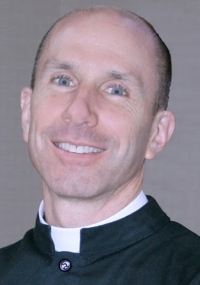 Born in Moline, November 28, 1967 Ordained May 27, 1995 Parochial Vicar, Holy Cross, Mendota, 1995; Pastor, St. Mary’s, East Moline, 1998; Chaplain, The High School of St. Thomas More, Champaign and Pastor, St. Patrick, Tolono and St. Joseph’s Mission, Ivesdale, 2003; Pastor, St. Patrick, Tolono, and Chaplain, The High School of St. Thomas More, Champaign, 2007; Pastor, St. Mary, Kickapoo 2009 and Pastor of St. Patrick, Elmwood 2017. 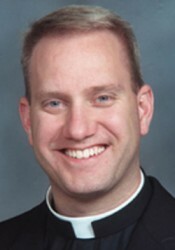 Born January 18, 1970 in Decatur Ordained August 2002 Parochial Vicar, St. Mary’s, Pontiac; St. John’s, Cullom, and St. Joseph’s, Flanagan, 2002. 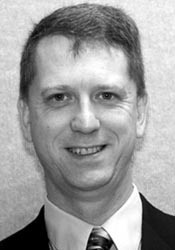 From assitant, St. Mary’s Parish and St. John’s Parish, Cullom, and St. Joseph’s Mission, Flanagan, to assistant St. Patrick’s Parish and St. Mary’s Parish, Ottawa, 2004; Administrator, St. John the Baptist, Rapids City; St. Mary, Hampton, 2007; Pastor St. John the Baptist, Rapids city; St. Mary, Hampton, 2008; Pastor, St. John the Baptist, Rapids City, St. Mary, Hampton, and Faculty, Alleman High School 2009. 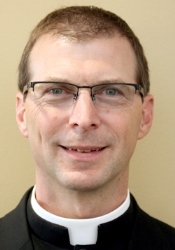 Pastor St. Mary, Rock Island; Sacred Heart, Rock Island and Chaplain at Alleman High School, 2011; Pastor Holy Family, Danville 2013; while remaining pastor of Holy Family, Danville, Chaplain team, Schlarman Academy, Danville 2017. Born August 9, 1963, Davenport, IA. Ordained May 28, 2005. 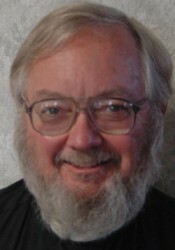 Parochial Vicar, St. Vincent de Paul, Peoria, 2005; Sacred Heart, Moline, 2006; St. Patrick, Washington; St. Luke, Eureka, 2007; St. Matthew, Champaign, 2008; Parochial Vicar, Sts. Peter & Paul, Nauvoo, Sacred Heart, Dallas City, St. Mary, Hamilton, Sacred Heart, Warsaw and Immaculate Conception, Carthage 2010. Administrator Sacred Heart, Annawan; St. Patrick, Sheffield; St. Mary, Hooppole 2012. Administrator St. Patrick, Sheffield 2014. 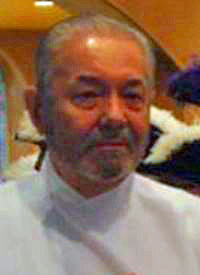 Pastor St. Patrick, Sheffieild 2015. 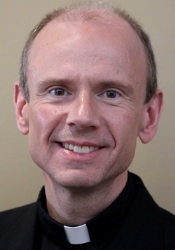 Born April 18, 1969, in Alton Ordained May 27, 2006 Parochial Vicar, Holy Rosary, St. Patrick, St. Hyacinth and Resurrection, LaSalle, and Sacred Heart, Dimmick, 2006; St. Patrick and St. Hyacinth and Queen of the Holy Rosary Shrine, LaSalle, 2007; Administrator, St. Mary, Canton 2009; Pastor, St. Mary, Canton (2010); Pastor St. Mary, Canton and St. Michael, St. David, 2012; Pastor St. Mary, Canton and St. Matthew, Farmington 2017. 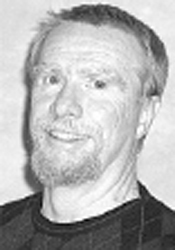 Born Oct. 31, 1945, in Streator. Ordained July 4, 1976. Parochial Vicar, St. Matthew, Champaign, 1976. Assistant Chaplain, St. John’s Chapel, Champaign, 1978. U.S. Army, 1980. 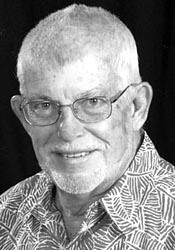 Prelate of Honor, 2000. Pastor, Immaculate Conception, Streator, 2002. 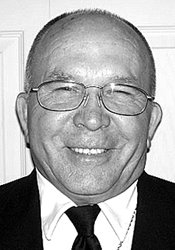 While remaining Pastor at Immaculate Conception, Streator, Administrator, St. Casimir, Streator, 2004. 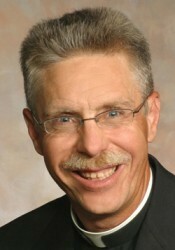 Pastor, Immaculate Conception, Streator, 2005. 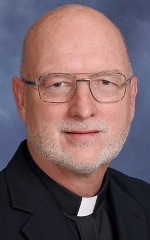 Remaining Pastor, Immaculate Conception, Streator and Admin., St. Casmir, Streator; also to Pastor, St. Stephen, Streator; St. Patrick, Ransom, 2007; Pastor, Immaculate Conception, Streator, St. Stephen, Streator, St. Casimir, Streator, St. Anthony of Padua, Streator 2009. Pastor of St. Patrick, Washington; 2011 Remaining pastor of St. Patrick, Washington, Pastor St. Monica, East Peoria, 2012. 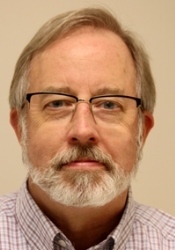 Special Assistant to the bishop; episcopal vicar for religious; episcopal vicar for retired priests; Vice Chancellor, 2013. 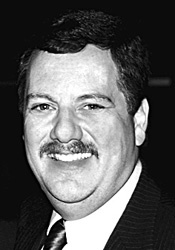 Born in Long Branch, NJ 7/18/1958. Ordained 5/25/1991. Asst. St. Mary, Pontiac (1991). St. Pius X, Rock Island (1992). Pastor St. Lawrence, Penfield; Holy Trinity, Rankin (1994). Pastor St. Thomas, Philo; Immaculate Conception, bongard (1996). 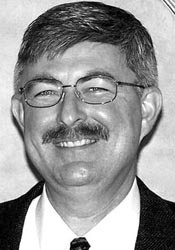 Pastor St. Luke, Eureka (1997). Chaplain U.S. Air Force (2000). 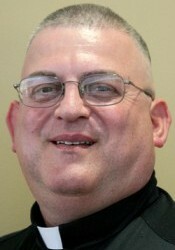 Pastor St. Bernard, Bushnell; St. Augustine, St. Augustine and chaplain at St. Francis of Assisi Newman Ctr. at Western Illinois University, Macomb (2014). Parochial vicar St. Mary, Champaign, St. Patrick, Tolono, St. Joseph, Ivesdale, and chaplain Champaign hospitals 2017. Born in Peoria on April 1, 1985. Ordained on May 26, 2012. Parochial at Vicar Epiphany, Normal (2012). 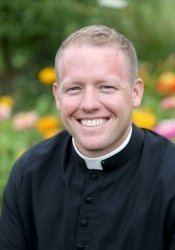 Assistant Chaplain at St. John Catholic Newman Center, Champaign (2014). 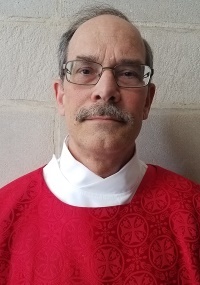 Parochial Vicar at St. Mark, Peoria and assistant chaplain at St. Joseph Newman Center, Peoria (2016). Administrator St. Louis, Princeton 2017. 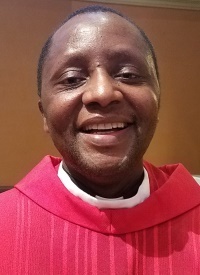 Pastor St. Louis, Princeton 2018. Born on September 3, 1984. Ordained on May 26, 2012. 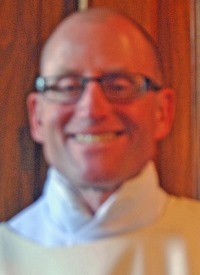 Parochial Vicar at St. Patrick in Urbana and St. Mary in Champaign (2012). 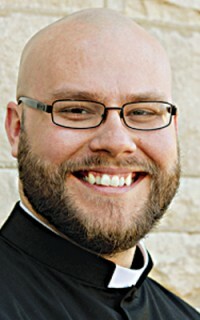 Parochial Vicar at Holy Cross in Mendota, St. Theresa in Earlville, and Sts. Peter and Paul in Peterstown (2015); Administrator St. Malachy, Rantoul, and St. Elizabeth in Thomasboro 2017. 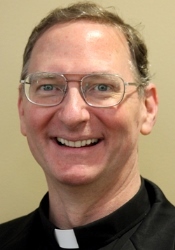 Born in Galesburg, Dec. 31, 1960 Ordained May 29, 1993 Parochial Vicar, Imm. Conception, Streator, 1993; St. Paul’s, Danville, and chaplain, Schlarman High School, Danville, 1994. Pastor, St. Paul’s, Odell, and Sacred Heart, Campus, 1998. 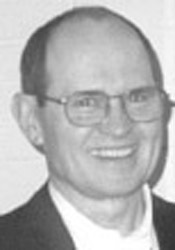 Pastor, St. Anthony’s, Hoopeston, and chaplain, Schlarman High School, Danville, 1999. While remaining pastor, St. Anthony’s, and Chaplain, Schlarman, to pastor, Holy Trinity, Rankin, 2000. 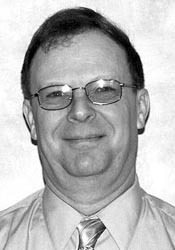 Pastor, St. Anthony’s, Hoopeston, and Chaplain, Schlarman High School, Danville, 2001. 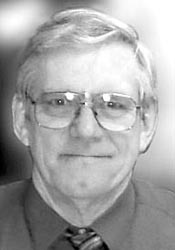 From chaplain, Schlarman H.S., Danville, and pastor, St. Anthony’s Parish, Hoopeston and Chaplain, Schlarman High School, Danville, Pastor, Rankin, 2003. 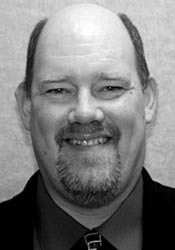 From Chaplain, Schlarman High School and pastor St. Anthony’s Parish, Hoopeston, to pastor Holy Family, Lincoln and St. Columba Mission, Mason City, 2004; Pastor, St. Jude, Peoria, 2007; Leave of Absence (2010); Pastor St. Anthony, Atkinson (2011). 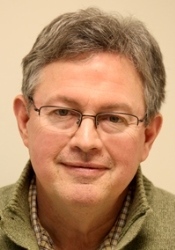 Pastor Holy Trinity, Bloomington; Historic St. Patrick, Bloomington and pastoral care for JPII Catholic Newman Ctr at IL State University, Normal and Vicar, Bloomington/Lincoln Vicariate (2013). 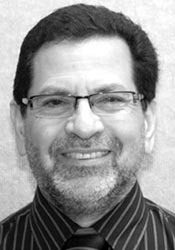 Born in Chicago on January 31, 1954. 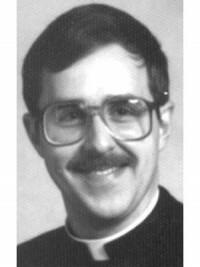 Parochial Vicar, St. Pius X, Rock Island, 1984; St. Mary, Pontiac, 1987; Adm., St. Mary, Tiskilwa, 1990; Pastor, St. Mary, Tiskilwa, and St. Francis, Bureau, 1992; Released to enter the Jesuit Novitiate, 1993; Parochial Vicar, St. Patrick, LaSalle, 1994; Pastor, Holy Family, Oglesby, 1994; Assistant Chaplain, St. Francis Medical Center, Peoria, 1995; Admin., St. Patrick, Camp Grove, 1995; Leave of absence, 1995; Parochial Vicar, St. Paul, Danville, and Chaplain, Schlarman High School, Danville, 1998; Working outside the diocese, 1999; Pastor, St. Mary’s Parish, Wenona, St. John’s Parish, Lostant, and Adm., St. Patrick’s Parish, Minonk, 2004; Pastor, Mary Our Lady of Peace, Orion, St. Maria Goretti, Coal Valley, and part-time teacher, Alleman High School, Rock Island, 2005; Remaining part-time teacher Alleman, H.S. 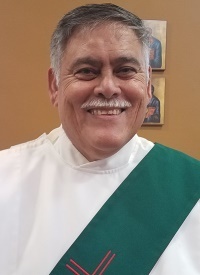 ; Parochial Vicar of Our Lady of Guadalupe, Silvis with residence at Our Lady of Guadalupe, Silvis, 2007; while remaining Parochial Vicar of Our Lady of Guadalupe, Silvis to Asst. 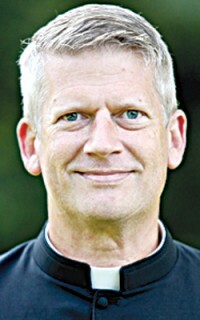 Spiritual Director, Northwest area of TEC, 2008; Parochial Vicar, St. Columba, Ottawa and Faculty, Marquette High School 2009. 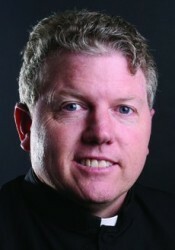 Parochial Vicar St. Patrick, Seneca while remaining a faculty member Marquette High School, Ottawa. (2012) While remaining Parochial Vicar, St. Patrick Parish, Seneca, to Parochial Vicar, St. Michael the Archangel Parish, Streator (01/09/2017). Parochial vicar St. Michael the Archangel, Streator and Sts. Peter and Paul, Leonore 2017. 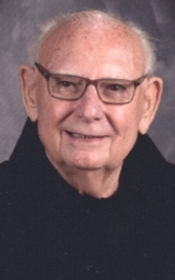 Parochial Vicar, St. Joseph, Peru, 1977-1884; Administrator, Holy Trinity, Cherry, and St. Patrick’s, Arlington, 1987; Pastor, St. Thomas More, Dalzell, 1988; St. Benedict, Ladd, and St. Gertrude, Seatonville, 1994; Pastor, St. Joseph, Peru, 2005. Senior priest status January 9, 2017. 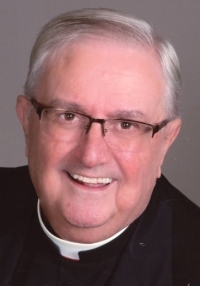 Born in Chicago, Feb. 3, 1929 Ordained May 28, 1961 Parochial Vicar, Holy Family, Peoria, 1961. Faculty, Academy of Our Lady, Peoria, 1961. Faculty, Bergan High School, Peoria, 1964. 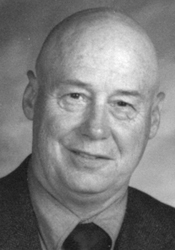 Chaplain, Bergan High School, Peoria, 1967-78. Administrator, Sts. Peter & Paul, Chatsworth, 1972. 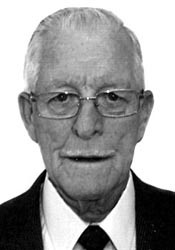 Diocesan Director of Pre-Cana, 1973-80. Resident Chaplain, Mt. Alverno Motherhouse, while remaining Chaplain at Bergan, 1976. Co-pastor, St. Matthew, Champaign, 1978. Pastor, St. Anne, East Moline, 1983; St. Mary and Sts. Peter & Paul, Westville, 1988. 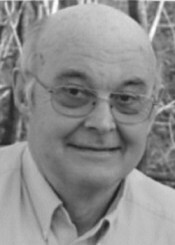 Vicar, Danville Vicariate, 1988. Pastor, St. Columba, Ottawa, 1990. 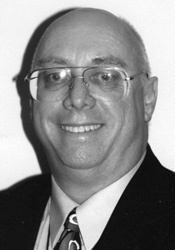 Diocesan Ecumenical Officer, 1990. 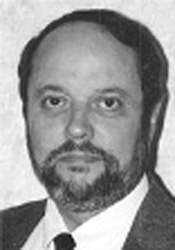 Diocesan Consultor, 1990. 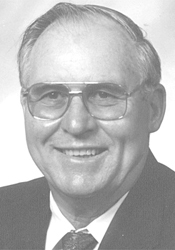 Vicar, Ottawa Vicariate, 1991. 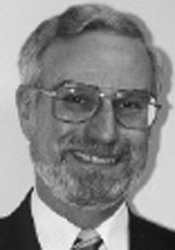 Episcopal Vicar for Ecumenism, 1993. 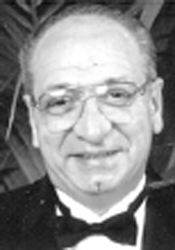 Prelate of Honor, 1993. Pastor, Holy Cross, Champaign, 1997. 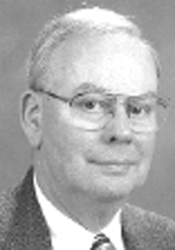 Vicar, Champaign Vicariate, 1997. 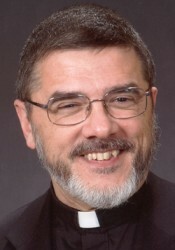 While remaining Vicar Forane of the Champaign Vicariate and Episcopal Vicar for Ecumenical Affairs, to Pastor, St. Boniface, Seymour, with residence at St. John’s Catholic Chapel, Champaign, 2005. Remaining Pastor, St. Boniface, Seymour, Asst. Chaplain, St. John’s Catholic Chapel, Champaign; also Pastor of St. Joseph, Ivesdale, 2007. Protonotary Apostolic. 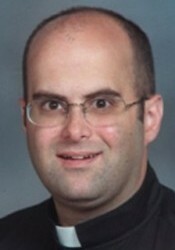 Senior priest status 2012. Pastor St. Thomas, Philo and St. Mary, Pesotum 2017. 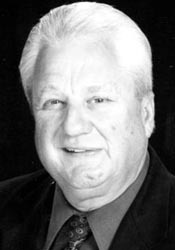 Born in Streator, Feb. 10, 1947. Ordained Dec. 22, 1990. 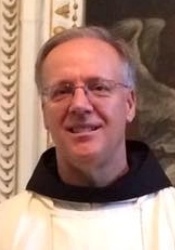 Parochial Vicar, Imm. Conception, Monmouth; St. Andrew, Oquawka, and St. Patrick, Raritan, 1990. Pastor/Principal, Sacre Coeur, Creve Coeur, 1993. Pastor, St. Mary, Westville, 1994; Our Lady of Guadalupe, Silvis,1996. Leave of absence, 1999. Parochial Vicar, St. Anthony, Streator, and Chaplain, St. Mary Hospital, Streator, 2000. Adm., Immaculate Conception, Streator, 2002. 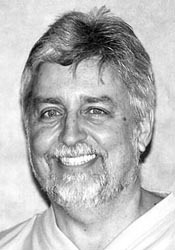 Pastor, St. Mary, Kickapoo, 2002; Pastor, St. Mary of the Woods, Princeville 2009. Born in Lincoln, June 17, 1950. Ordained May 22, 1976. Parochial Vicar, St. Bernard, Peoria, 1976. Chaplain and Dir. of Religious Ed., Bergan High School, Peoria, 1978. Assoc. 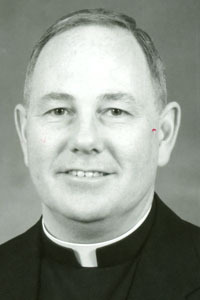 Dir.of Vocations, 1983. Doctoral studies in Rome, 1986. Vice-chancellor, Vocation dir., Dir. of Propagation of the Faith, 1987. Rector, St. Mary Cathedral, 1987, and pastor, St. Peter, Peoria, 1987-92, while remaining vice-chancellor, vocation director and director of Propagation of the Faith, 1990. Pastor, St. Philomena, Peoria, 1993. 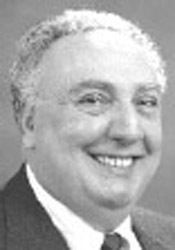 Prelate of Honor, 1993. Censor Librorum, 1993. 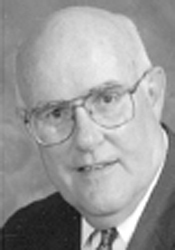 Vicar, Peoria NE Vicariate, 1994. Episcopal Vicar for Healthcare, 1994. Knight Commander of the Holy Sepulchre, 1997. 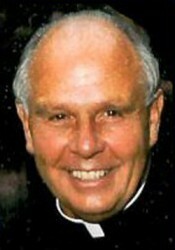 Vicar General, Moderator of the Curia, and Chancellor, 1999. Knight o fConstantinian Order, 2000. 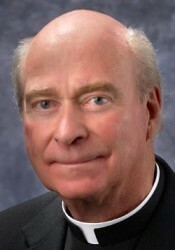 Named Diocesan Administrator 2001. 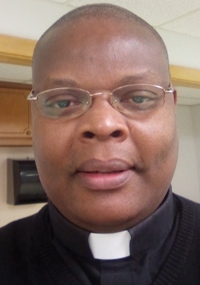 Reappointed Vicar General, Moderator of the Curia and Chancellor, as well as Director, Propogation of the Faith, Holy Childhood Association, Mission Coordinator, and Director of Cemetaries, 2002. 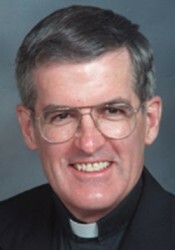 While remaining Vicar General, from chancellor and moderator of the curia, to administrator, St. Vincent de Paul Parish, Peoria, 2004. 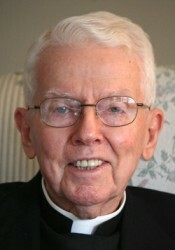 Rector, Mount St. Mary’s Seminary, 2005. 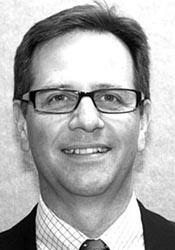 Born in Northlake on January 25, 1970. Ordained on May 24, 1997. 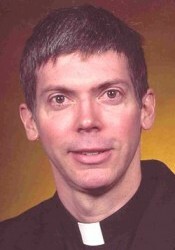 Parochial Vicar at St. Philomena in Peoria (1997). 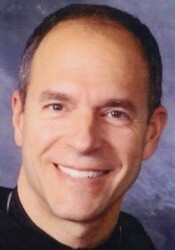 Pastor at St. Paul in Odell and Sacred Heart in Campus (1999). 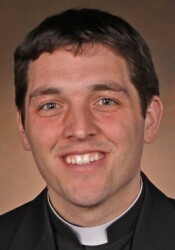 Assistant Chaplain at St. John Catholic Chapel in Champaign and Associate Director of Vocations (2001). 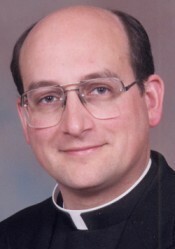 Parochial Vicar at Holy Trinity in Bloomington (2002). 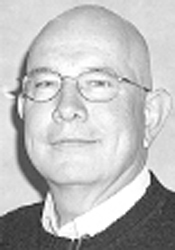 Pastor of St. John in Clinton, St. Patrick in Wapella, Sacred Heart in Farmer City, and St. John in Bellflower (2003). 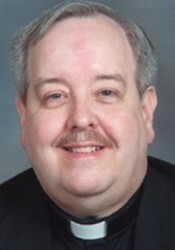 Parochial Vicar at St. Vincent de Paul in Peoria (2007). 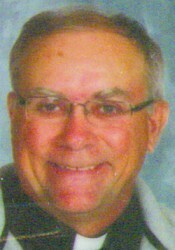 Pastor at St. Mary in Metamora and St. Elizabeth in Washburn (2008). 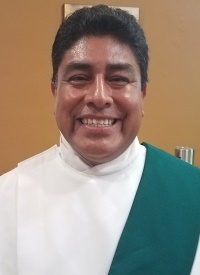 Pastor at St. Mary in El Paso (2013). 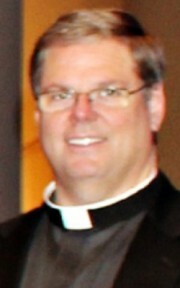 Administrator at St. Ann in Peoria (2016). Born in Peoria, March 7, 1944. Ordained May 22, 1971. Parochial Vicar, St. Malachy, Rantoul, 1971; Holy Trinity, Bloomington, 1972. Leave for study, 1977. 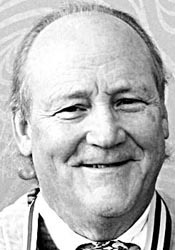 Director, Religious Education, 1979. Pastor, St. Mary, Downs, and St. Patrick, Merna, 1985. Leave for teaching, 1991. Pastor, Mary, Our Lady of Peace, Orion, 1996. While remaining Pastor, Our Lady of Peace, Orion, to Administrator, St. Maria Goretti, Coal Valley, 2002. Pastor, St. Pius X, Rock Island, 2005. 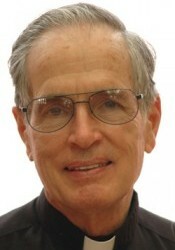 Monsignor Rick J. Oberch, J.C.L. 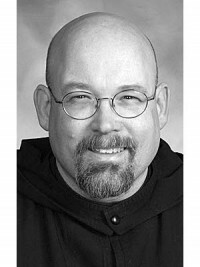 Father James Henning, OFM Conv. Born on January 2, 1933 in Chicago. 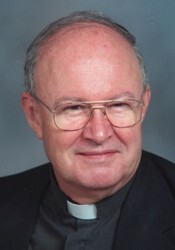 Parochial Vicar at St. Columba in Ottawa (1996). 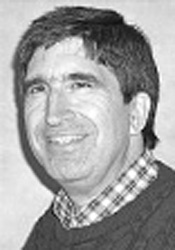 Pastor at St. Francis in Ottawa (1998). Born in Rock Island, Dec. 1, 1945. Ordained June 9, 1973. Parochial Vicar, Holy Trinity, Bloomington, 1973. Co-chaplain, St. Francis Hospital, Peoria, 1980. Campus Minister, Bradley University, Peoria, and Illinois Central College, East Peoria, 1983. Dir., Pastoral Care, St. Francis Medical Center, Peoria, 1985. 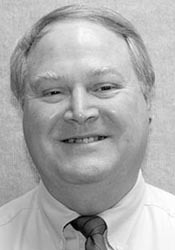 Chaplain, St. Joseph Medical Center, Bloomington, 1998. Leave of absence, 1999. In residence, St. Pius, Rock Island, 1999. 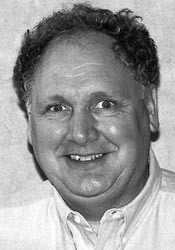 Parochial Vicar, St. Pius, Rock Island, 2000. Pastor, Immaculate Conception, Lacon, St. Mary and St. Joseph, Henry, 2004. Born in El Paso, Texas, March 29, 1971. Ordained May 24, 1997. 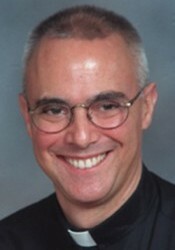 Parochial Vicar, St. Stephen, Steator, 1997; Holy Cross, Mendota, 1998. Pastor, St. Patrick, Havana, and Imm. Conception, Manito, 2000; Immaculate Conception, Monmouth, St. Theresa, Alexis and St. Andrew Mission, Oquawka, 2004; Sts. Peter & Paul, Spring Valley, St. Gertrude, Seatonville, also local Hispanic needs, 2008; Pastor St. Anthony, Atkinson 2009. Born in Harvey, May 12, 1959. Ordained May 12, 1984. Rector, Rosmini House and Novice Master, 1991. Provencial Superior, 2001. Administrator, Corpus Christi and St. Patrick, Galesburg, and Sacred Heart, Abingdon, 2002. Pastor Corpus Christi and St. Patrick, Galesburg, and Sacred Heart, Abingdon, 2004. Born in Clinton, Iowa, June 5, 1933. Ordained June 6, 1959. Dir., Pastoral Care Dept., United Samaritans Medical Center, Danville, 1990. 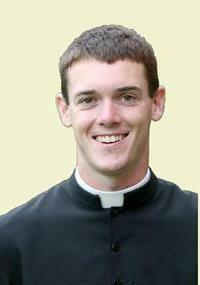 Senior priest status, 2003. Born in Peoria, Nov. 30, 1932. Ordained June 1, 1958. Parochial Vicar, Sacred Heart, Moline, 1958; St. Mary, Westville, 1958; Imm. Conception, Spring Valley, 1965; St. Patrick, Washington, 1969. Chaplain, St. Margaret Hospital, Spring Valley, 1970. Pastor, St. Mary, Delavan, and St. Joseph, Hopedale, 1971. Chaplain, Mercy Hospital, Urbana, 1973. Co-pastor, St. Patrick, Urbana, 1981. On leave, 1981. Adminstrator, Sacred Heart, Farmer City, and St. John, Bellflower, 1982. Leave of absence, 1983. In residence, St. Bernard, Peoria, 1984. Pastor, St. Mary, Princeville, 1985. Chaplain, St. James Hospital, Pontiac, 1991. 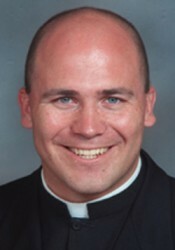 Senior priest status, 2003. Born in Henry, Feb. 6, 1931. Ordained May 30, 1959. Parochial Vicar, St. Patrick, Ottawa, 1959; Imm. Conception, Monmouth, 1963; St. Philomena, Peoria, 1966. Pastor, Imm. Conception, Carthage, Sacred Heart, Dallas City, and St. Mary, West Point, 1972. Co-pastor, St. Philomena, Peoria, 1974. Adm., St. Augustine, St. Augustine, and St. Patrick, Raritan, 1975. Pastor, St. Mary, DePue, 1975; St. Mary Cathedral, Peoria, 1978; St. Mary, Kewanee, 1986; St. Maria Goretti, Coal Valley, 1991; St. Mary’ Ottawa, 1994. Chaplain, Daughters of St. Francis of Assisi, Lacon, and St. Joseph’s Nursing Home, Lacon, 1998. Born on December 11, 1973 in Red Bank, NJ. Ordained on May 24, 2003. 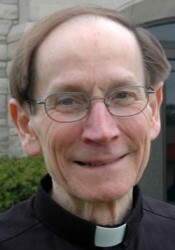 Parochial Vicar at St. Matthew in Champaign (2003). 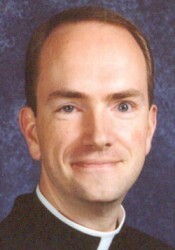 Parochial Vicar at St. Philomena in Peoria (2006). 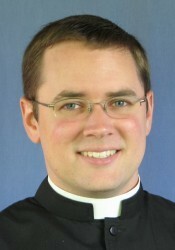 Assistant Vocation Director (2007). 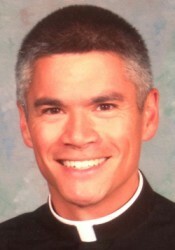 While remaining Assistant Vocation Director to Administrator at St. Philomena in Peoria (2008). 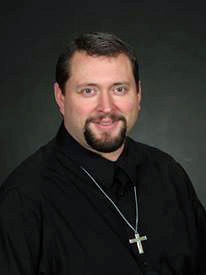 Pastor at St. Philomena in Peoria (2009). 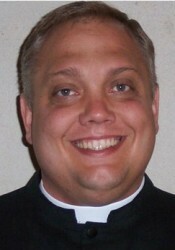 While remaining Pastor at St. Philomena in Peoria to Episcopal Vicar of Junior Clergy (2014). 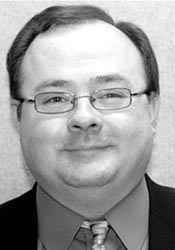 Born October 30, 1976, in Effingham. Ordained May 24, 2003. Parochial Vicar, Sts. Peter & Paul, Nauvoo, Immaculate Conception, Carthage, Sacred Heart Mission, Dallas City and St. Mary Mission, West Point, 2003. Asst. 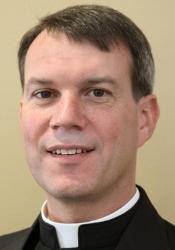 Chaplain St. John Chapel, Champaign, 2007; Director, St. Francis of Assisi Newman Center, Macomb, Administrator, St. Patrick, Raritan (2010); Chaplain of St. John’s Catholic Newman Center, Champaign (2014); Pastor St. Patrick, Urbana 2017. Born in Peoria Sept. 9, 1966. Ordained May 29, 1993. Parochial Vicar, Holy Trinity, Bloomington, 1993. 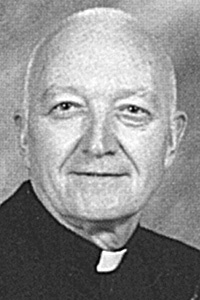 Pastor, St. Mary, Downs, and Chaplain, Central Catholic High School, Bloomington, with residence at St. Patrick, Bloomington, 1997. Pastor, St. Thomas, Philo and Immaculate Conception, Bongard, 2003. 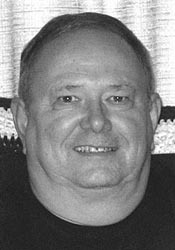 While remaining Pastor of St. Thomas, Philo, and Immaculate Conception, Bongard, to Pastor, St. Mary and St. Joseph, Pesotum, 2004. 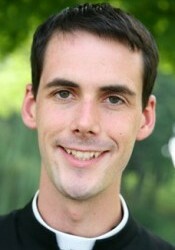 Pastor, Holy Cross, Champaign, 2005. Pastor St. Patrick’s Parish, Washington, and St. Monica Parish, East Peoria, 2013. Born in Peoria, May 31, 1971. Ordained May 24, 1997. Parochial Vicar, Holy Family, Oglesby, St. Anthony, Spring Valley, and Sts. Peter & Paul, Spring Valley, 1997. Holy Family, Oglesby, 1998; St. Pius X, Rock Island, 1998. Leave of absense 2001. 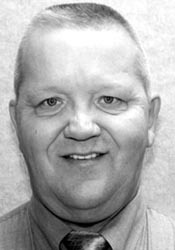 Parochial Vicar, St. Joseph, Pekin, 2002. Admin., St. Patrick, Bloomington, Asst. 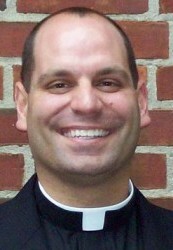 Chaplain at St. Robert Bellarmine Newman Center, Normal, 2007. Pastor, St. Patrick, Bloomiington, while remaining Asst. 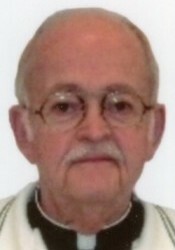 Chaplain, St. Robert Bellarmine Newman Center, Normal, 2008; Pastor, St. Patrick, Havana and Immaculate Conception, Manito, 2010. While remaining pastor, St. Patrick, Havana, and Immaculate Conception, Manito to pastor, St. Mary, Lewistown 2017. Born in Cedar Rapids, IA, Oct. 12, 1964. Ordained Aug. 5, 1995. Parochial Vicar, St. Philomena, Peoria, 1995. Chaplain, Alleman High School, Rock Island, and Parochial Vicar, St. Pius X, Rock Island, 1997. 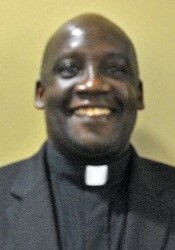 Pastor, St. Patrick, Bloomington, 1999; St. Louis, Princeton and St. Mary Mission, Tiskilwa, 2003. 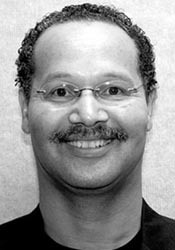 Pastor, St. Louis, Princeton, 2005. Administrator Holy Trinity and St. Patrick, Bloomington, and St. Patrick, Wapella 2017. Born in Chicago on March 25, 1936. Ordained May 28, 1961. Parochial Vicar at St. Columba, Ottawa, and faculty at Marquette High School, Ottawa (1961). 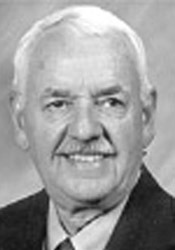 Assistant Principal at Marquette High School, Ottawa (1968). 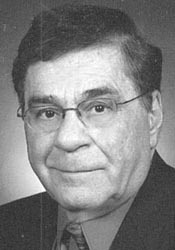 Principal at Marquette High School (1969). 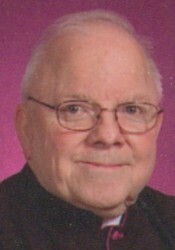 Pastor at Annunciation, Streator and St. Mary, Kangley (1973). 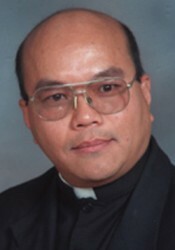 Pastor at Sts. Peter & Paul, Leonore, while remaining pastor at Annunciation, Streator and St. Mary, Kangley (1977). 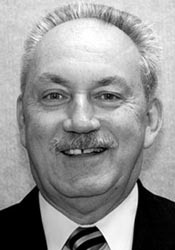 Pastor at Resurrection, LaSalle (1984). 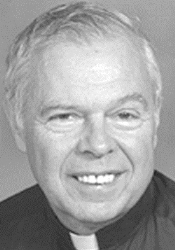 Pastor at Sacred Heart, Dimmick while remaining pastor at Resurrection, LaSalle (1991). 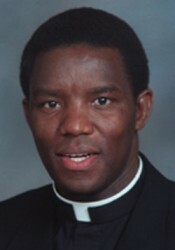 Pastor at St. Mary, Wenona and St. John, Lostant (1993). 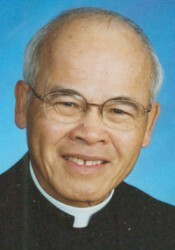 Pastor at St. Patrick, Washington (1994). 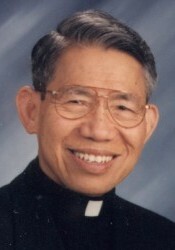 Vicar of Pekin Vicariate (1996). 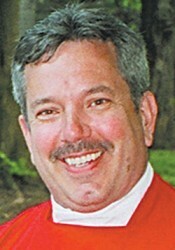 Administrator of St. Luke, Eureka while remaining pastor at St. Patrick, Washington (2000). 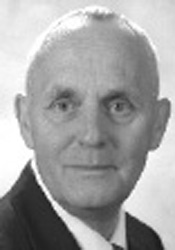 Prelate of Honor (2000). 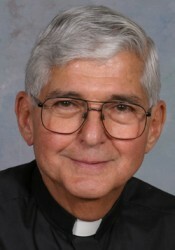 Pastor of St. Mary, Utica (2003). Born in Pittsburg, Pa., May 15, 1959. Ordained May 25, 1991. Parochial Vicar, St. Peter, Peoria, and administrative asst. to the bishop, 1991. Pastor, St. Peter, Peoria, and chaplain, Bradley Newman Center, Peoria, and Illinois Central College, East Peoria, 1992. 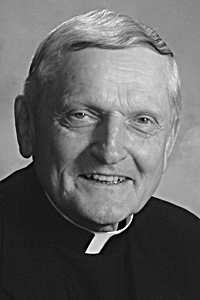 Pastor, St. Martin de Porres, Peoria, while remaining Newman Center chaplain, Bradley Univeristy and Ill. Central College, 1993. Graduate studies at John Paul II Institute for the Study of Family & Marriage, 1994.STL, 1995. 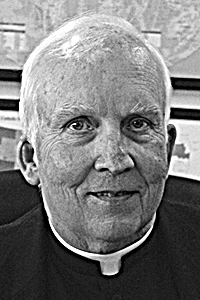 Chaplain, St. John Chapel, Champaign, and director, Newman Foundation, University of Illinois, Champaign, 1997. Knight of Holy Sepulchre, 1997. Dio. 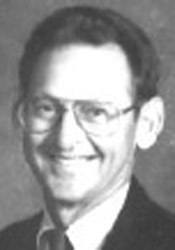 Dir., Campus Ministry, 1998. STD, 1998. Episcopal Vicar for Social Justice, 1999. 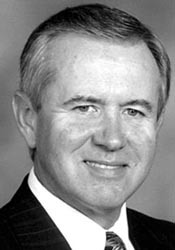 Prelate of Honor, 2000. 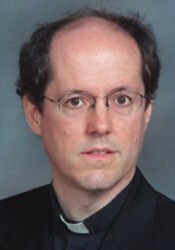 Director, Pre-Theology and Homeletics; Spiritual Director and Formation, Mount St. Mary Seminary, Emmitsburg, Maryland, 2006. 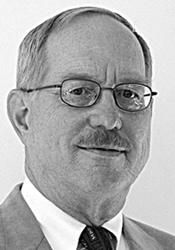 President, Donnelly College, Kansas City, KS, 2014. 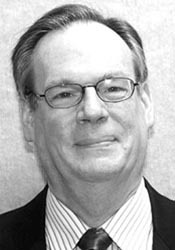 Born Nov. 6, 1951. Ordained May 27, 1978. 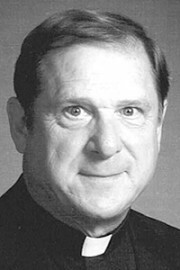 Parochial Vicar, Holy Cross, Champaign, 1978; St. Thomas, Peoria Heights, 1981. Asst. chaplain, St. Francis Medical Center, 1986. Parochial Vicar, St. Paul, Danville, 1988. Pastor, St. Thomas, Philo, and Imm. Conception, Bongard, 1990. 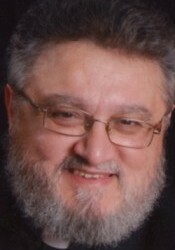 Spiritual director, Imm. Heart of Mary Seminary, Winona, Minn., 1992. Pastor, Holy Family, Oglesby, 1995; St. Matthew, Champaign, 1998; Sts. Peter & Paul, Nauvoo, Sacred Heart Mission, Dallas City, Immaculate Conception, Carthage and St. Mary Mission, West Point, 2003; Pastor, Sts. Peter and Paul, Nauvoo, Sacred Heart, Dallas City, Immaculate Conception, Carthage, St. Mary, West Point, Sacred Heart, Warsaw, St. Mary, Hamilton 2009. 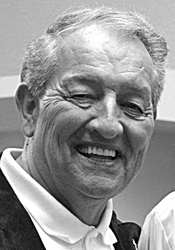 Born in Pontiac on March 3, 1942. Ordained on May 20, 1972. Parochial Vicar at St. Patrick in Danville (1972). 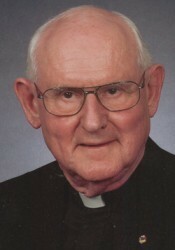 Parochial Vicar at St. Joseph in Pekin (1974). Parochial Vicar at Epiphany in Normal (1977). Pastor at Immaculate Conception in Carthage, Sacred Heart in Dallas City, and St. Mary in West Point (1978). 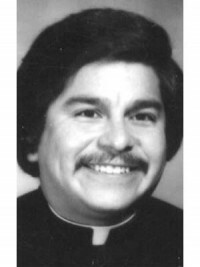 Pastor at St. Joseph in Colfax and St. Rose in Strawn (1980). Parochial Vicar at St. Matthew in Champaign (1989). Pastor at St. Anthony and St. Casimir in Streator (1993). 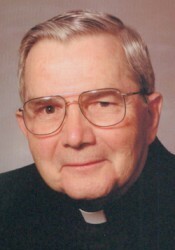 Pastor at St. Joseph in Pekin (1994). 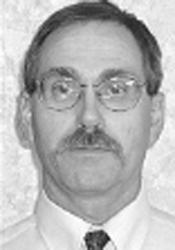 Pastor at St. Mary in Delavan and St. Joseph in Hopedale (2000). Born Plattsburgh, NY, January 21, 1977. Ordained May 24, 2003. 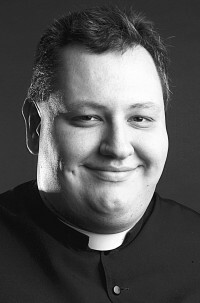 Parochial Vicar, St. Matthew, Champaign, 2003; studies in Rome in the fall, 2003. 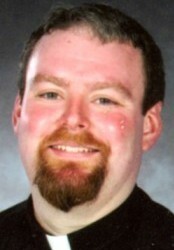 Parochial Vicar, St. Vincent de Paul, Peoria, 2004; St. Pius X, Rock Island, 2005. Leave of absence, 2006. Parochial Vicar, Sts. Peter & Paul, Nauvoo; Immaculate Conception, Carthage; Sacred Heart, Dallas City; St. Mary, West Point, 2007.